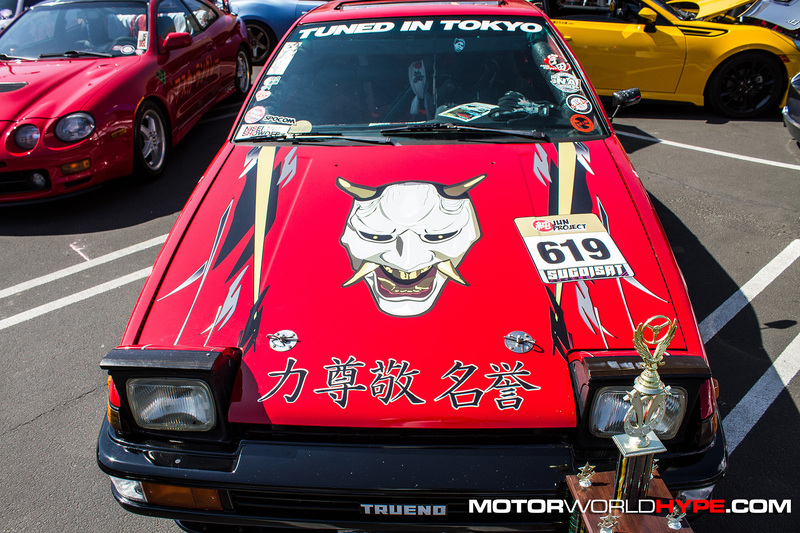 Last weekend marked the end of the annual Nisei Week Festival thus another amazing Nisei Week Showoff from Ken Miyoshi. 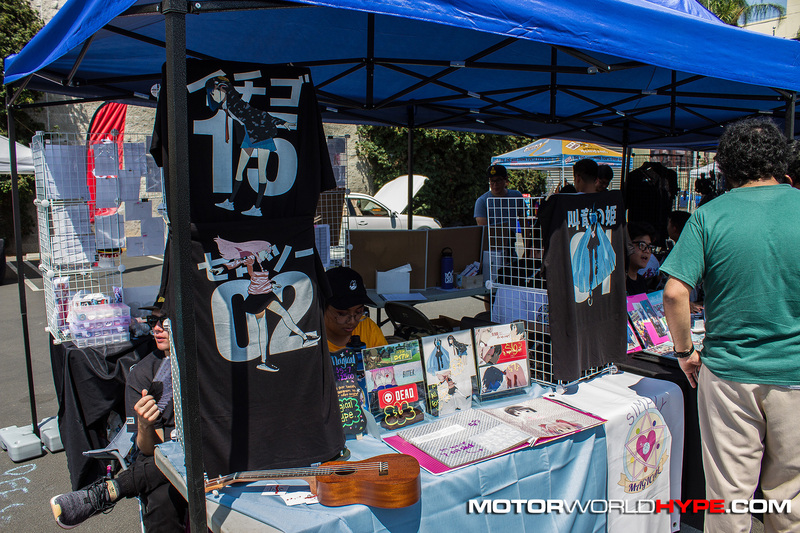 If you’re unfamiliar, Nisei Week Festival was originally a celebration of the Japanese-American Nisei generation, which was the first generation of American-born Japanese people. 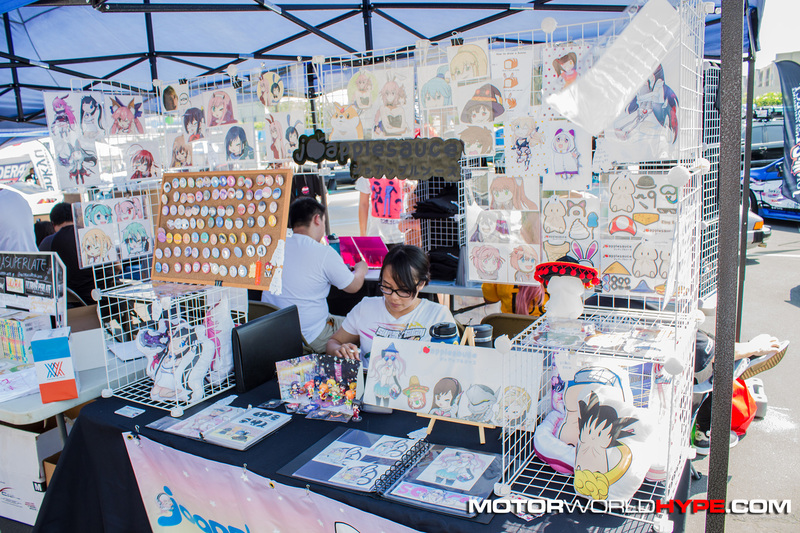 Today rather than being targeted towards just the Nisei generation, Nisei week has evolved into a week-long celebration of Japanese culture all taking place in the heart of Little Tokyo in Los Angeles. 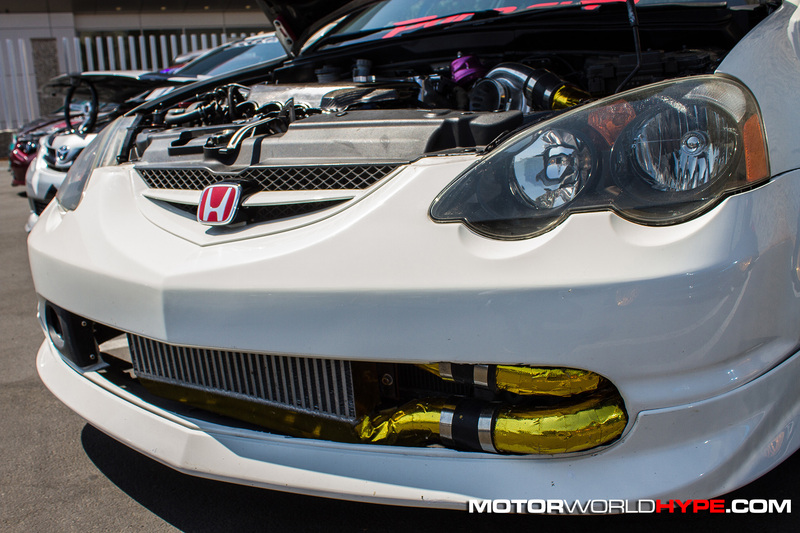 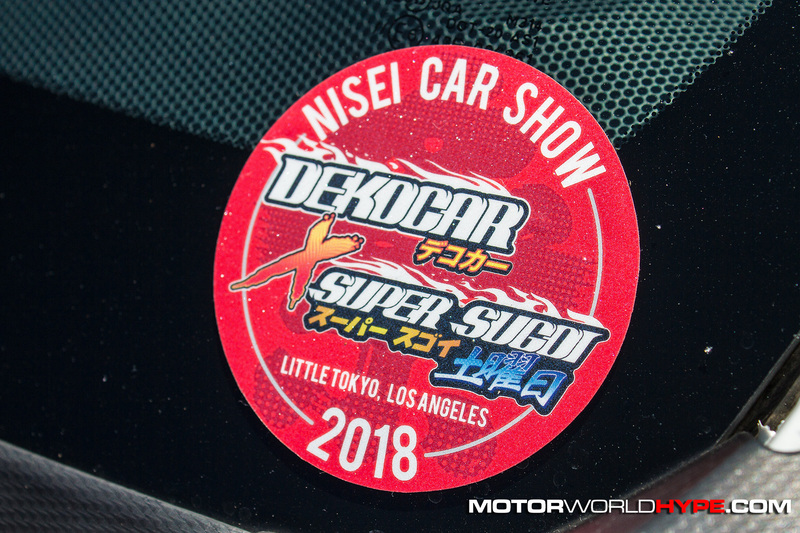 The event has been going on for very long time but it was only within the last 10 years or so that the father of the Import Showoff, Ken Miyoshi created a one-off event specifically catered for the Nisei Week Festival. 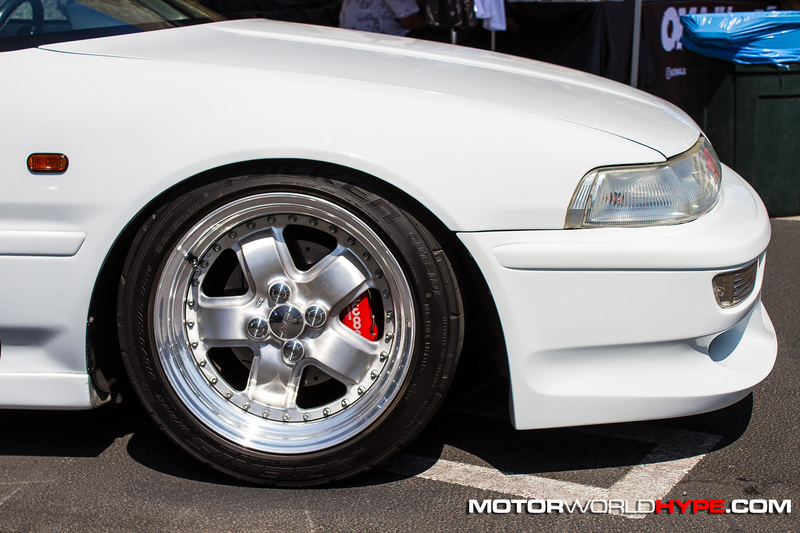 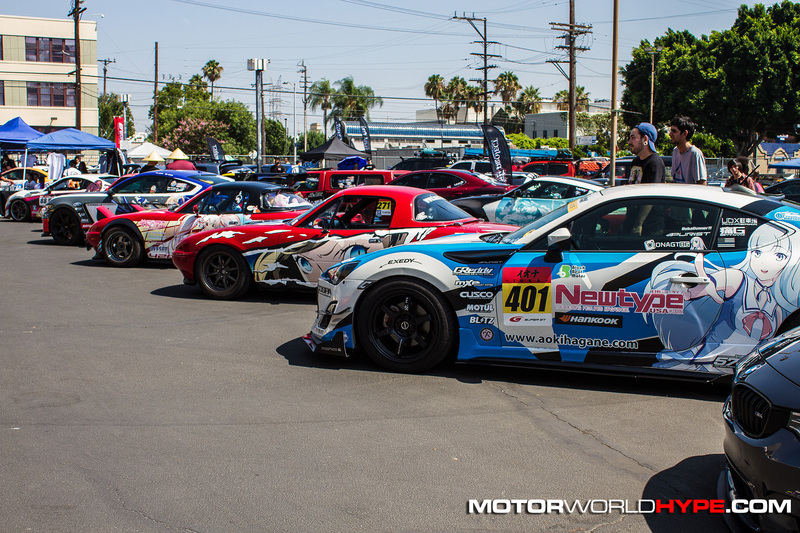 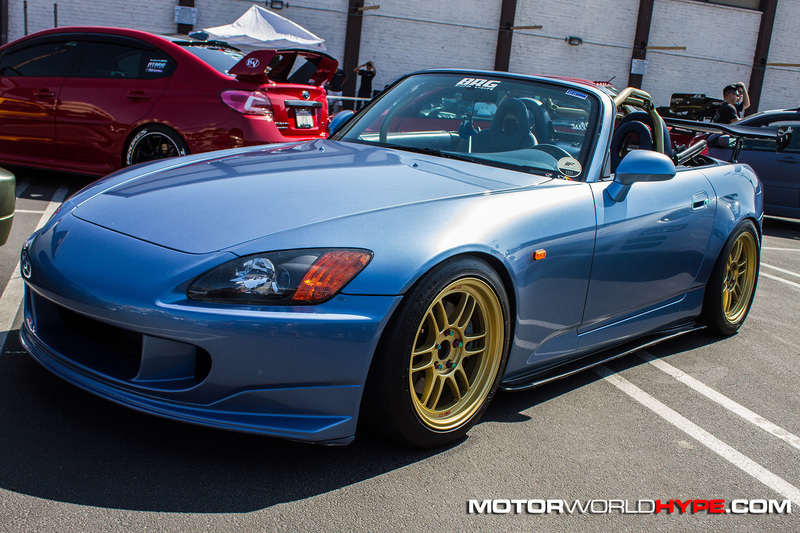 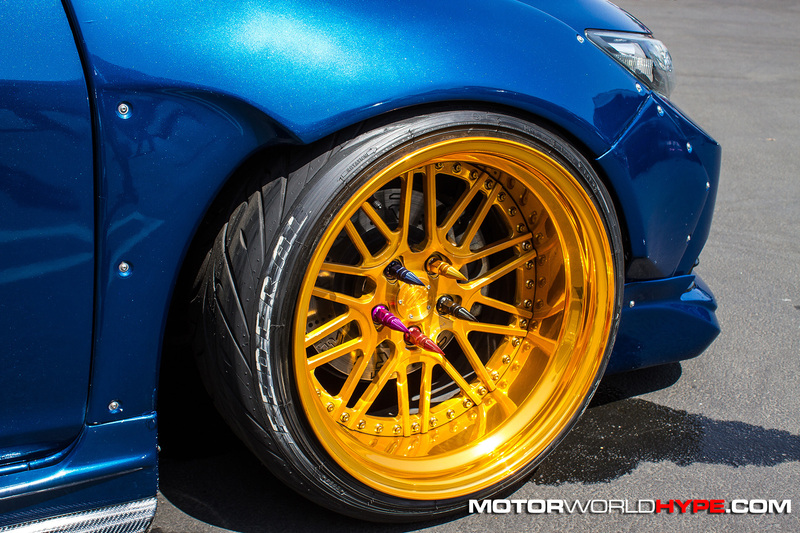 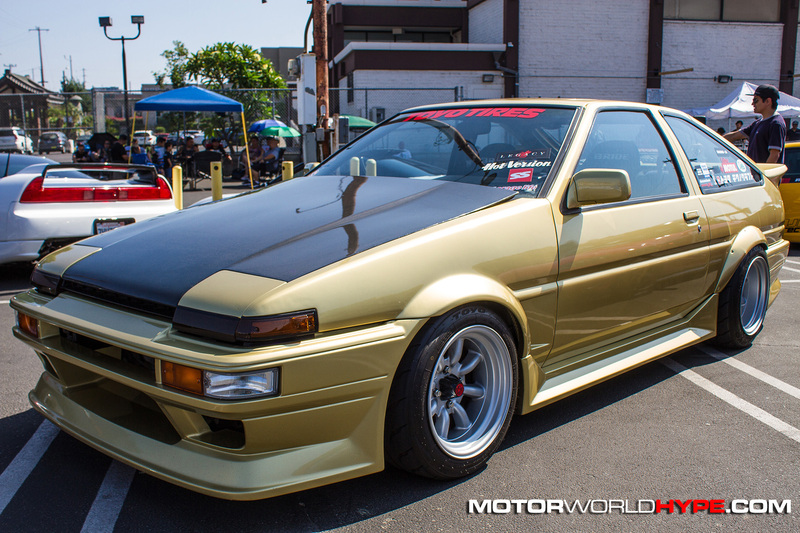 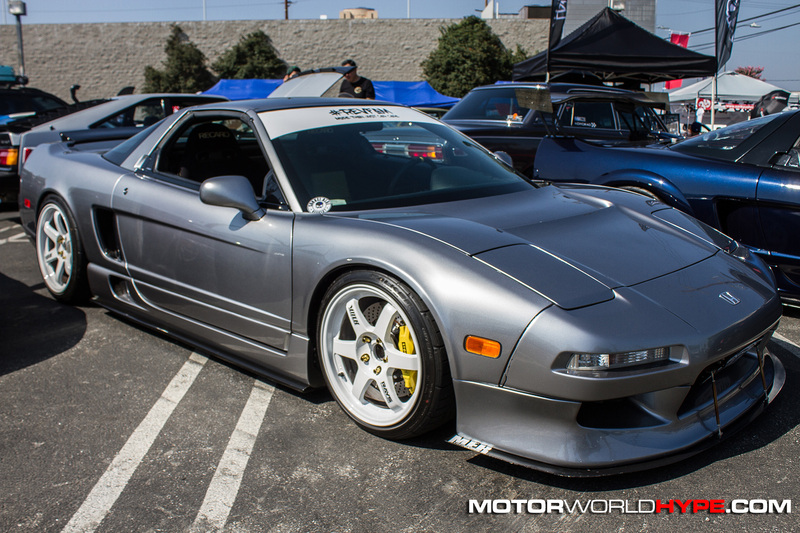 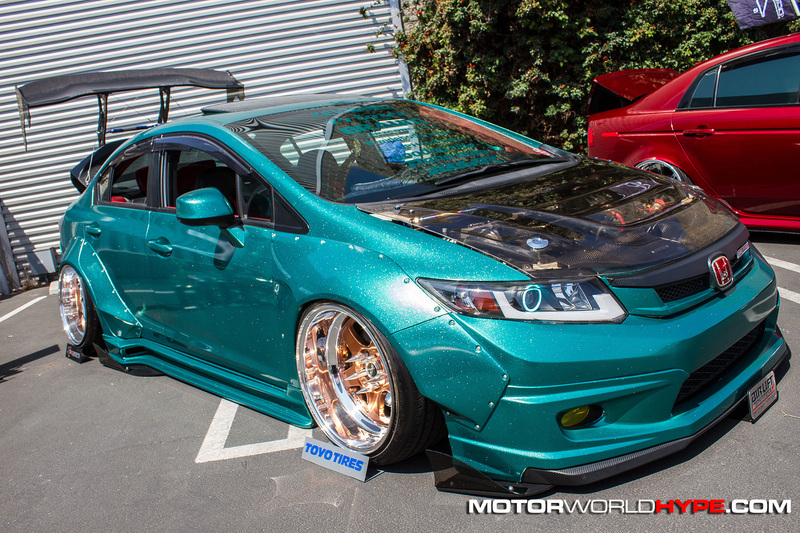 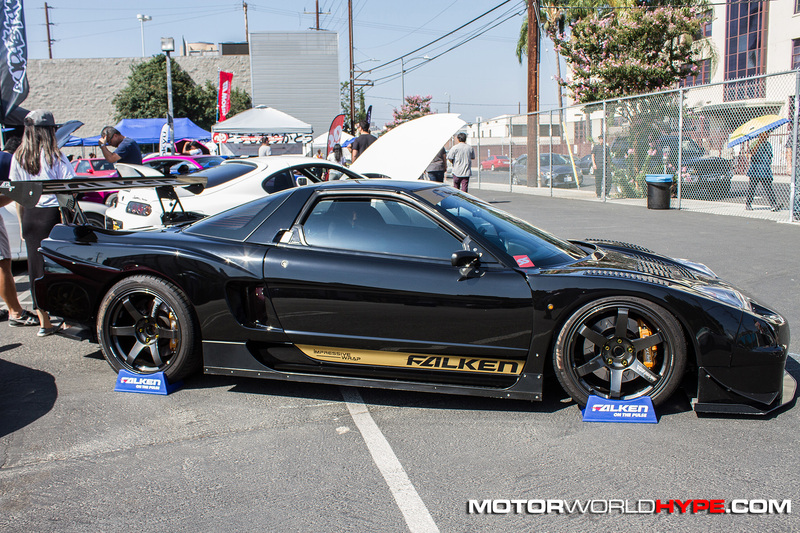 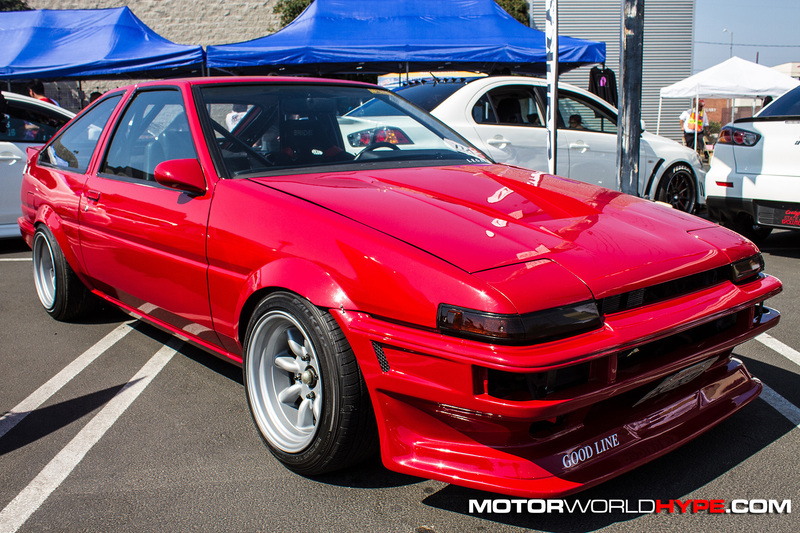 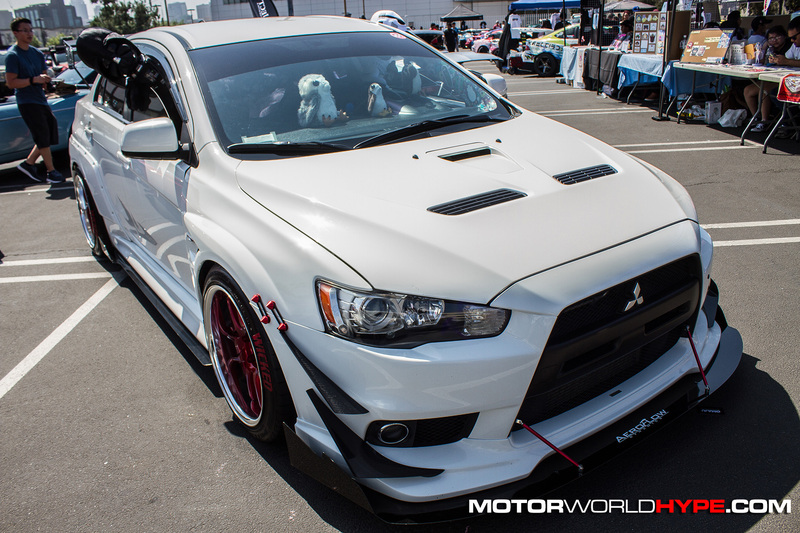 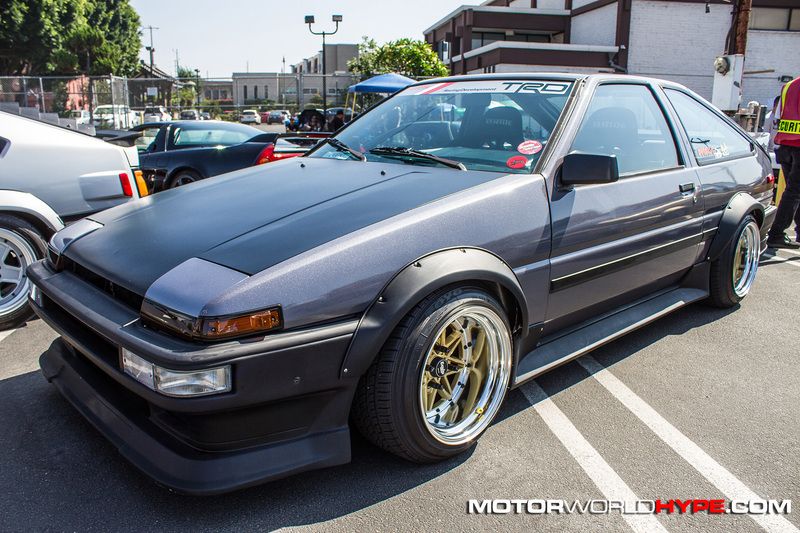 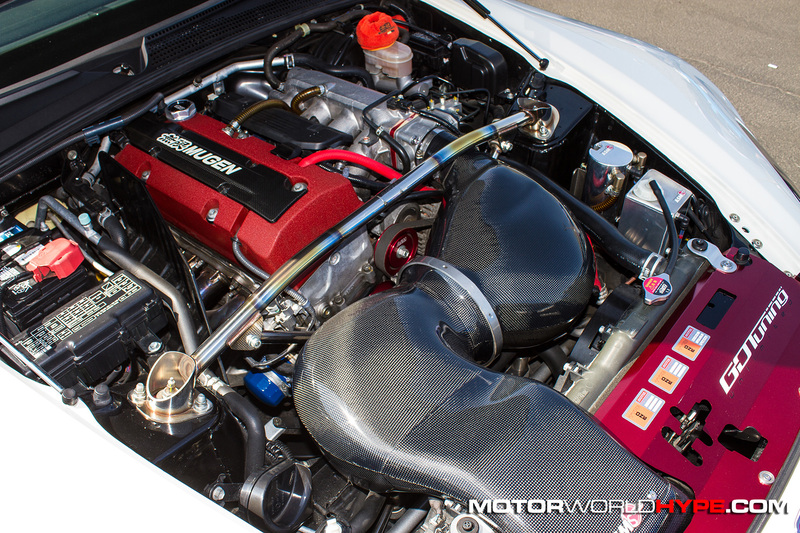 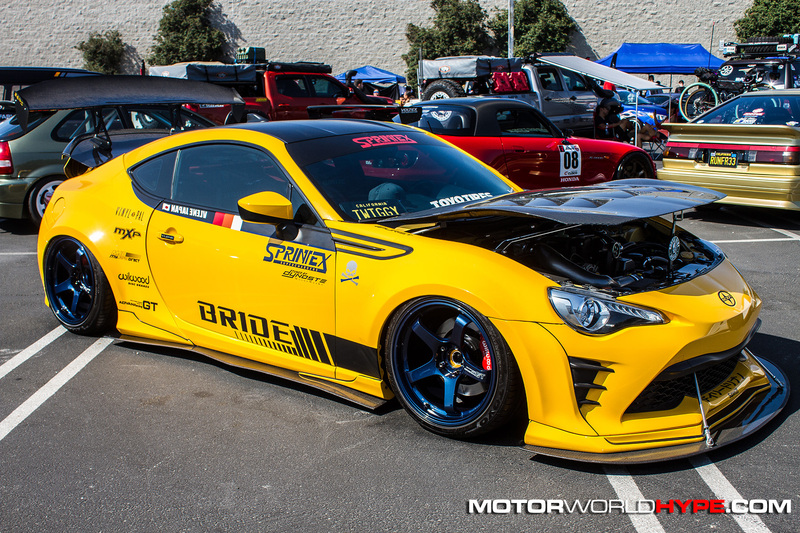 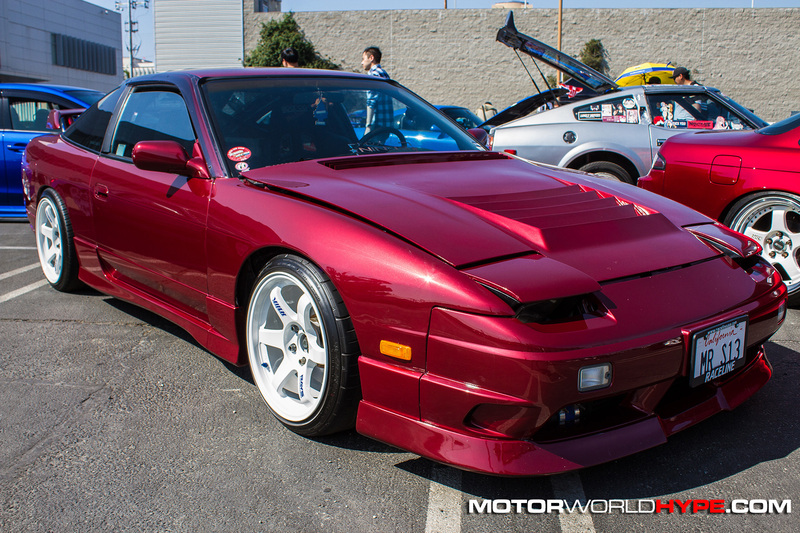 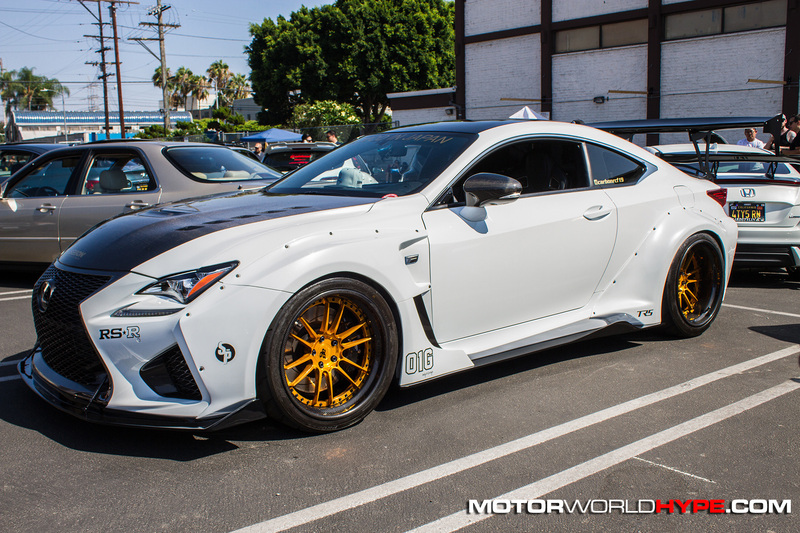 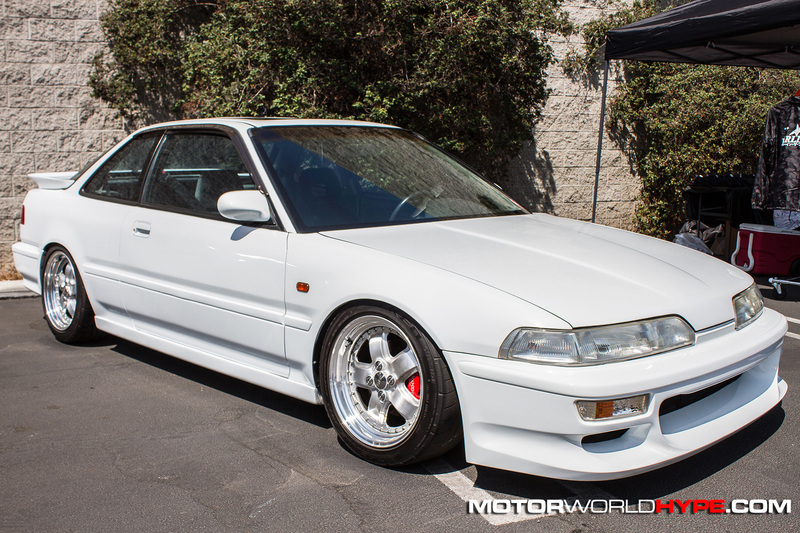 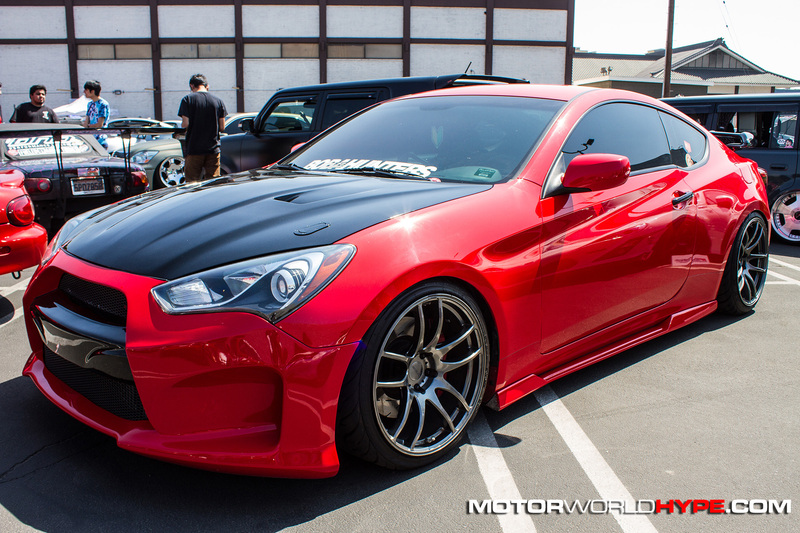 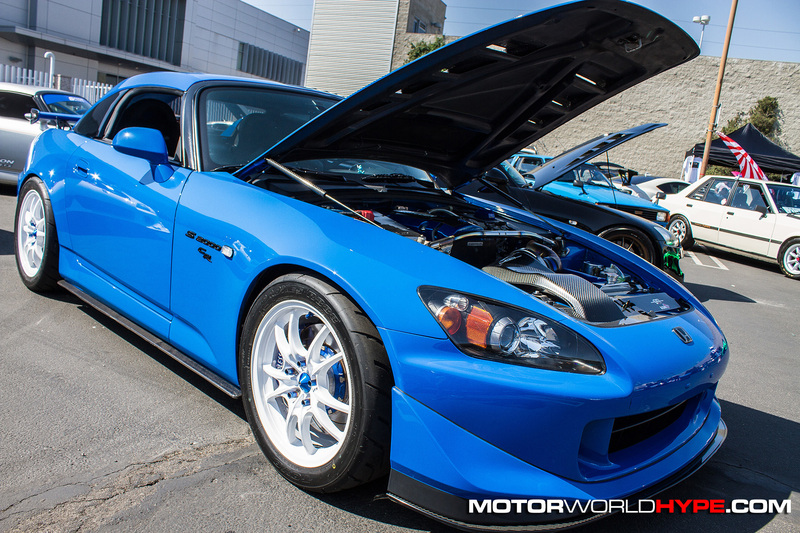 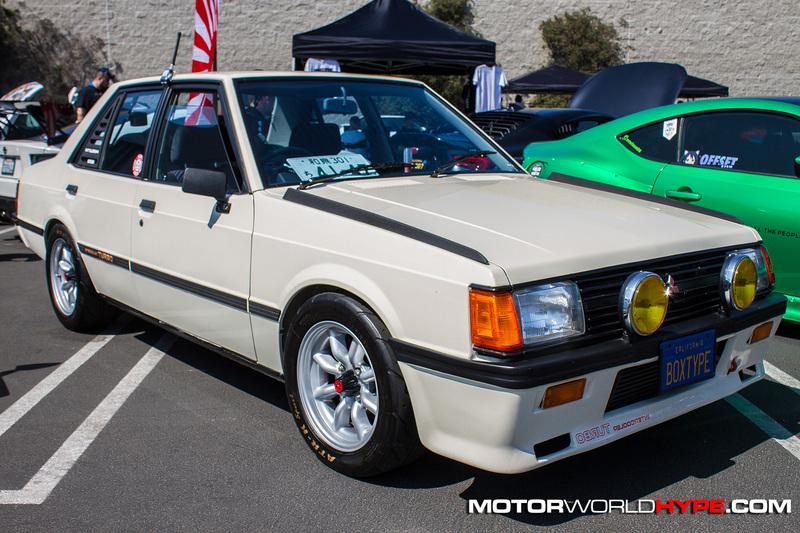 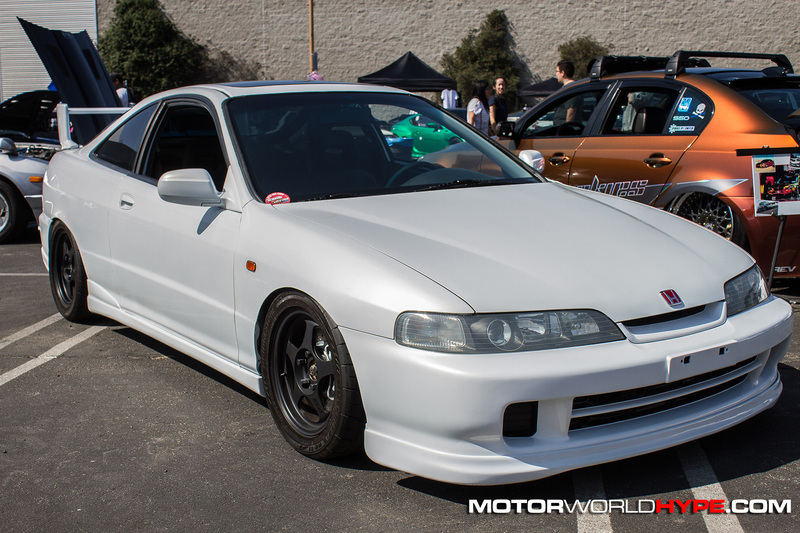 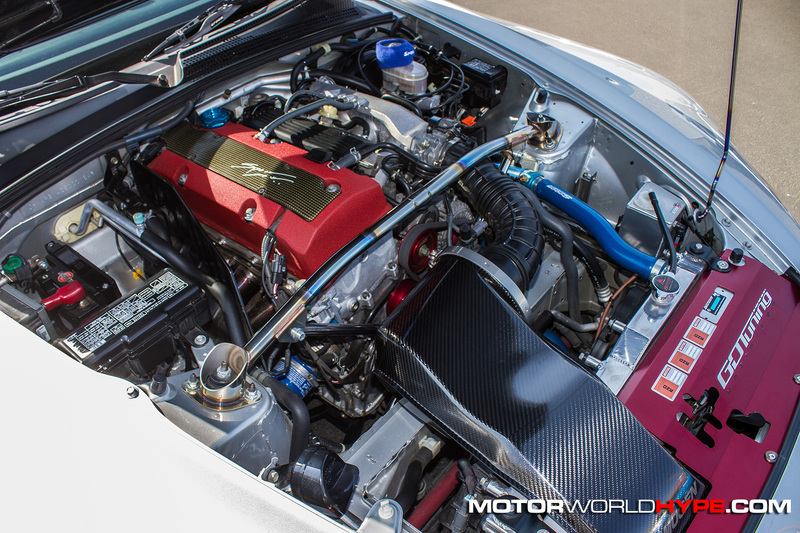 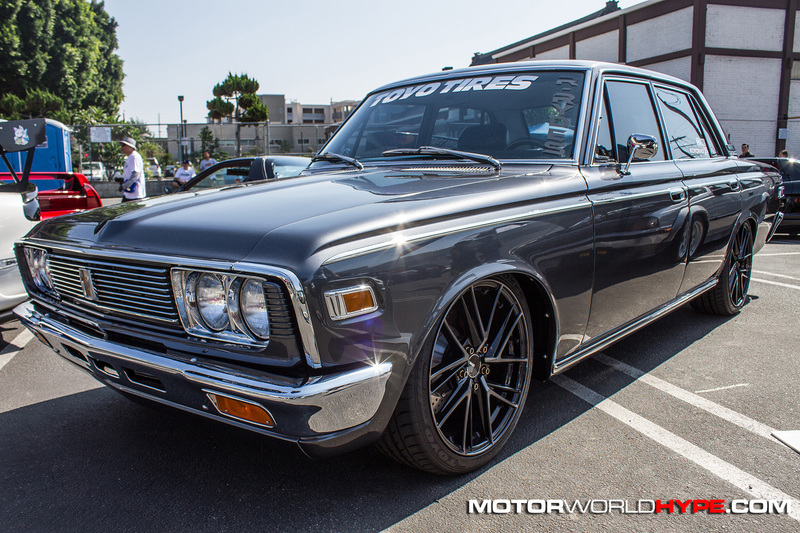 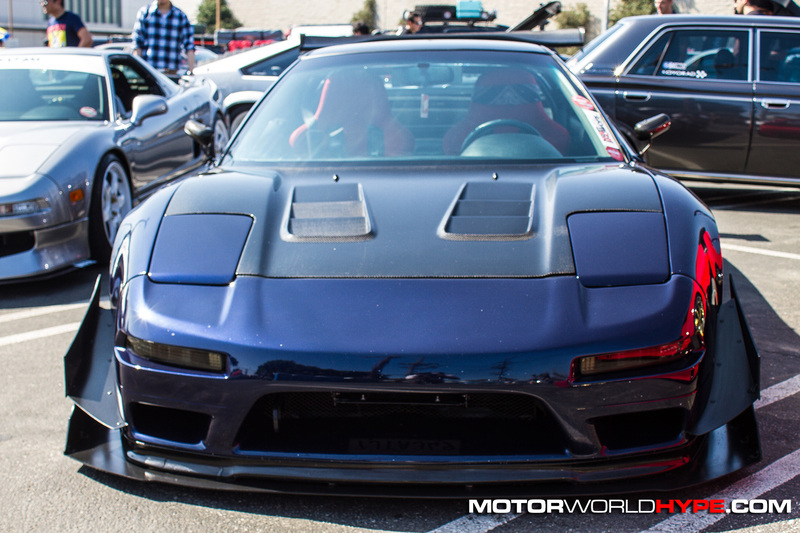 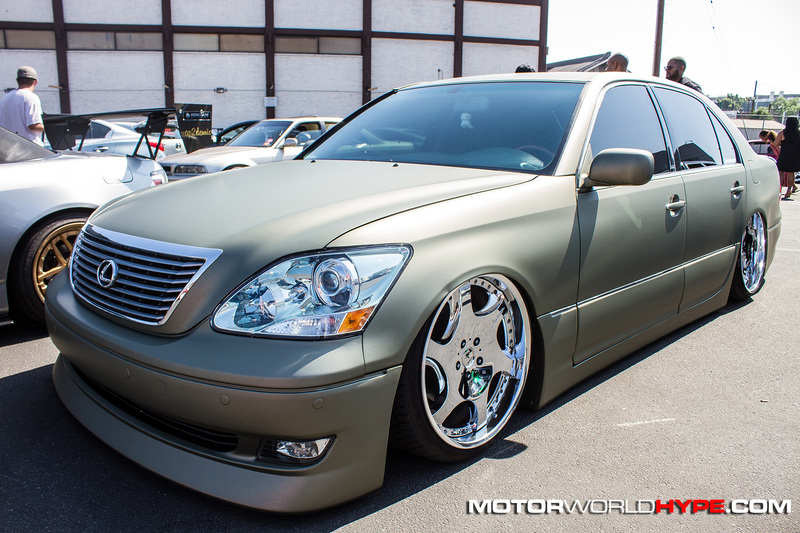 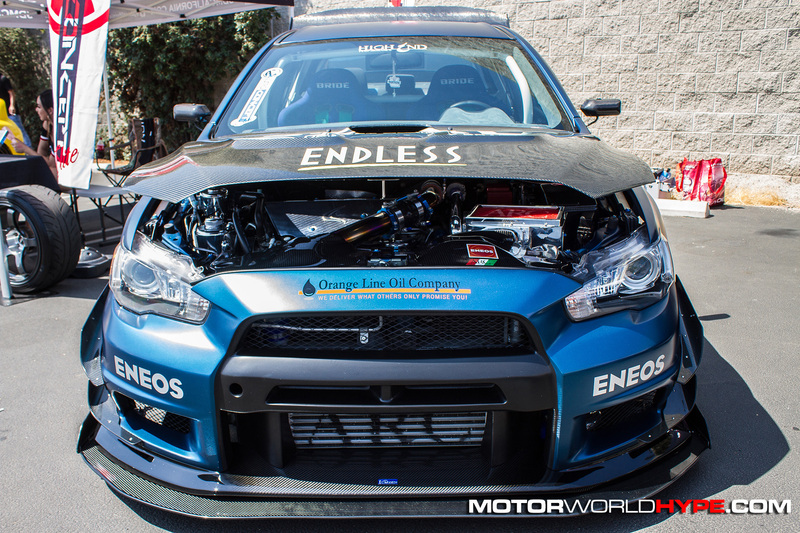 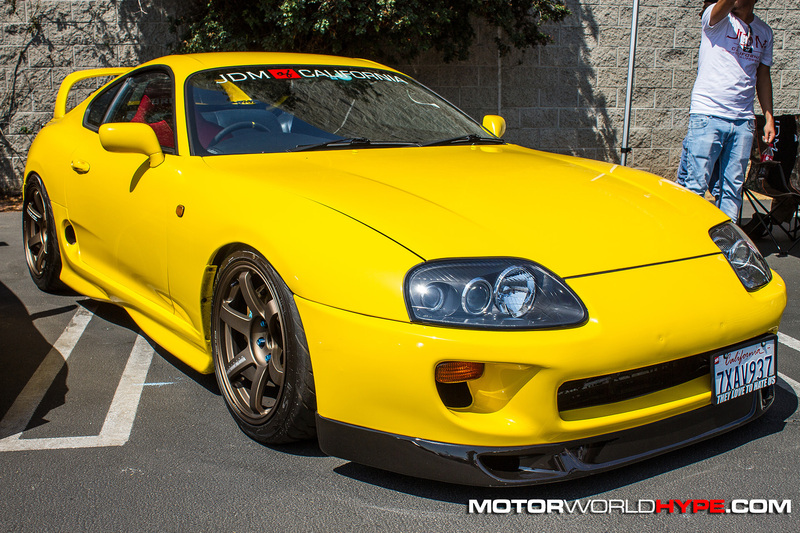 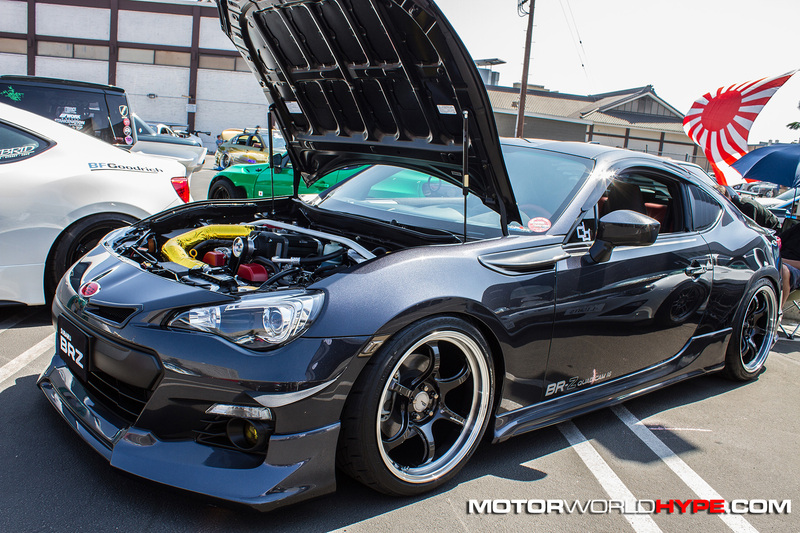 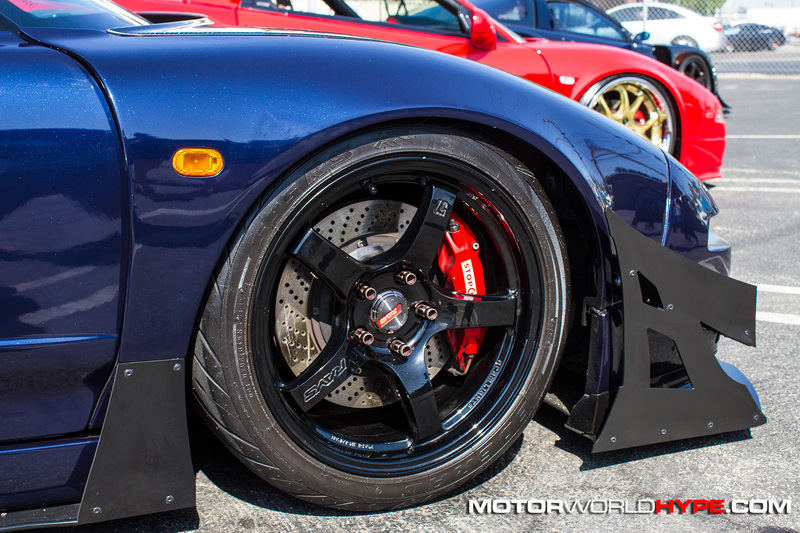 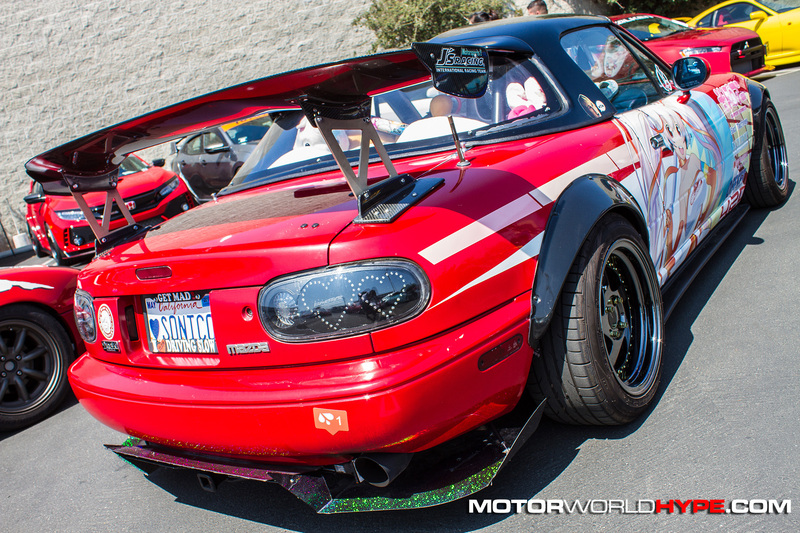 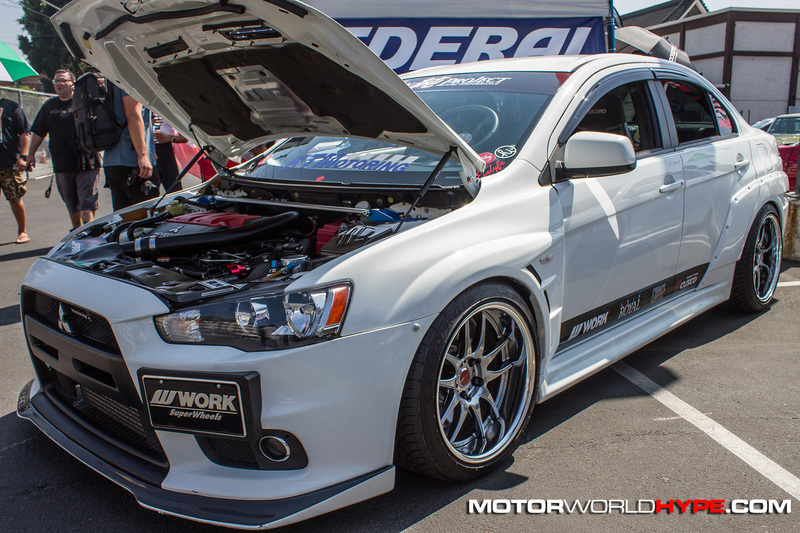 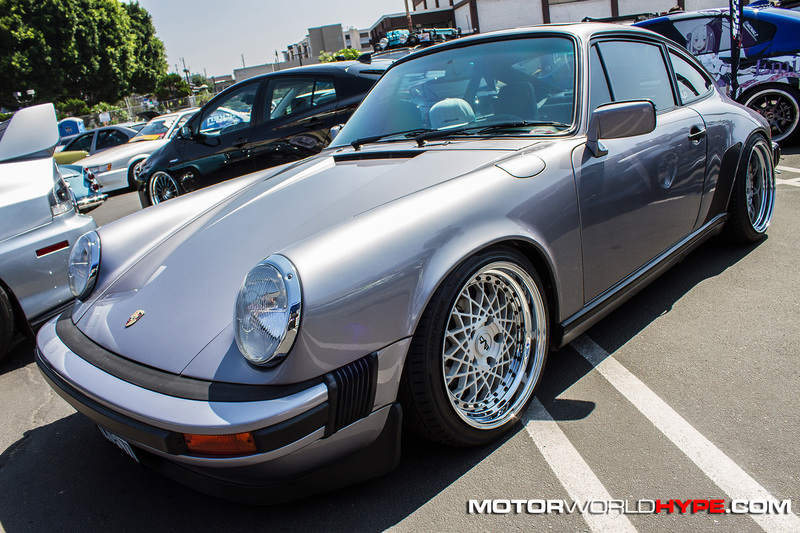 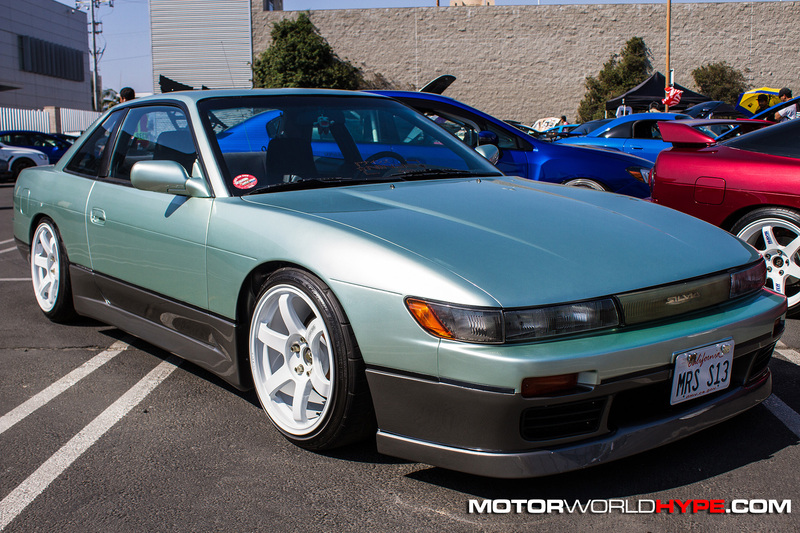 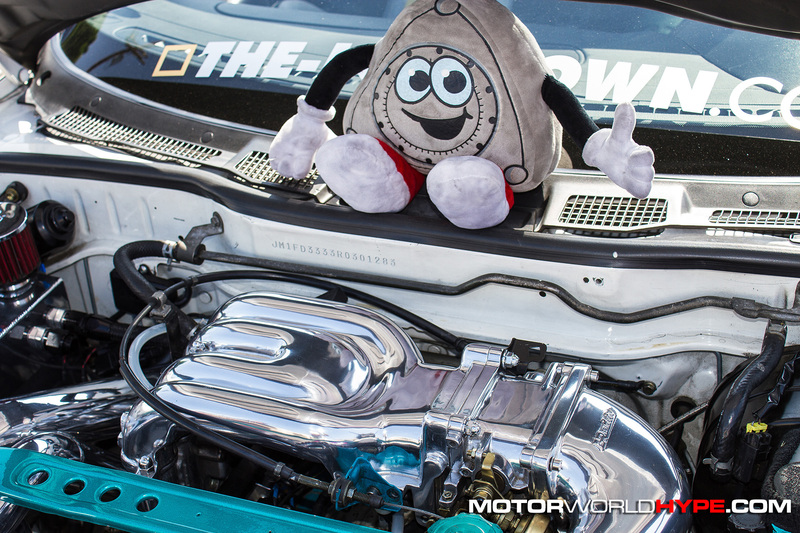 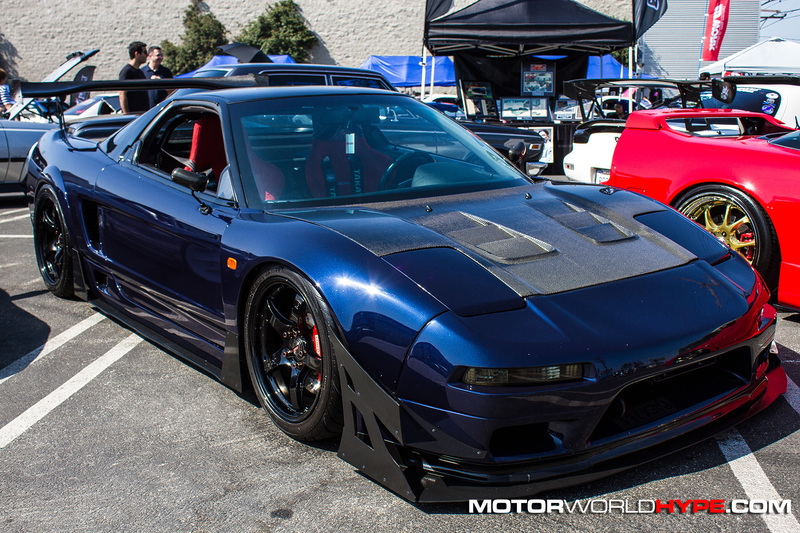 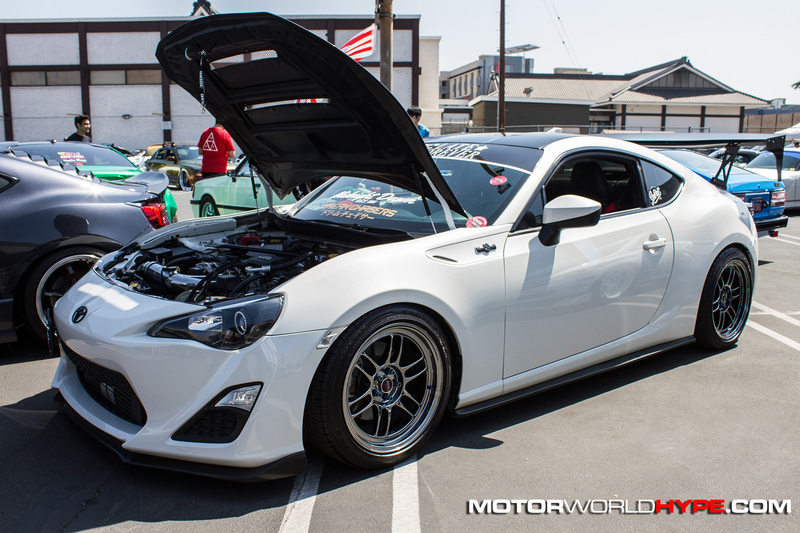 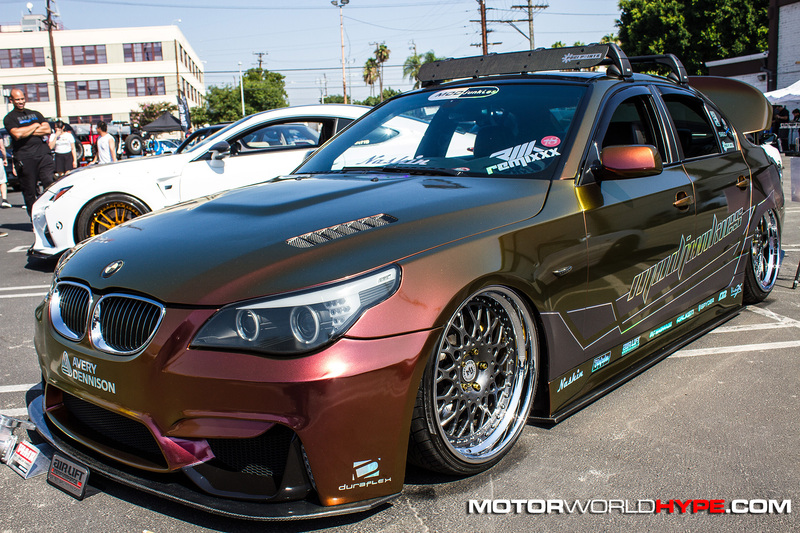 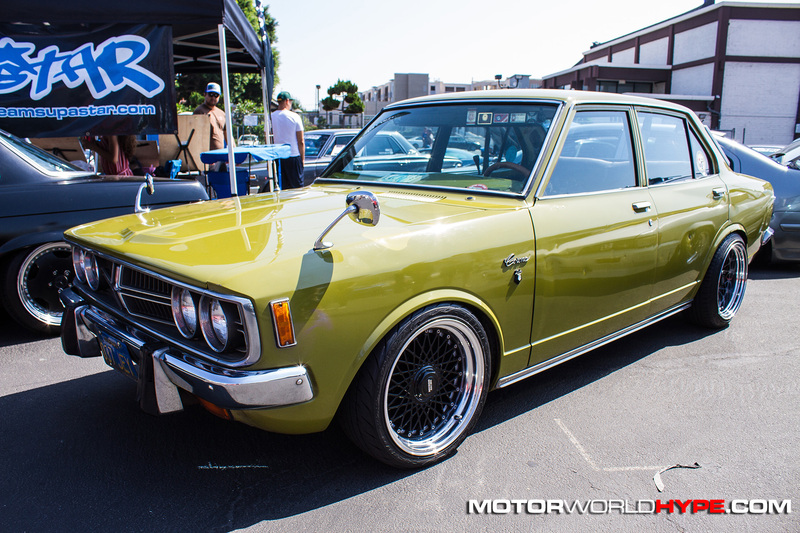 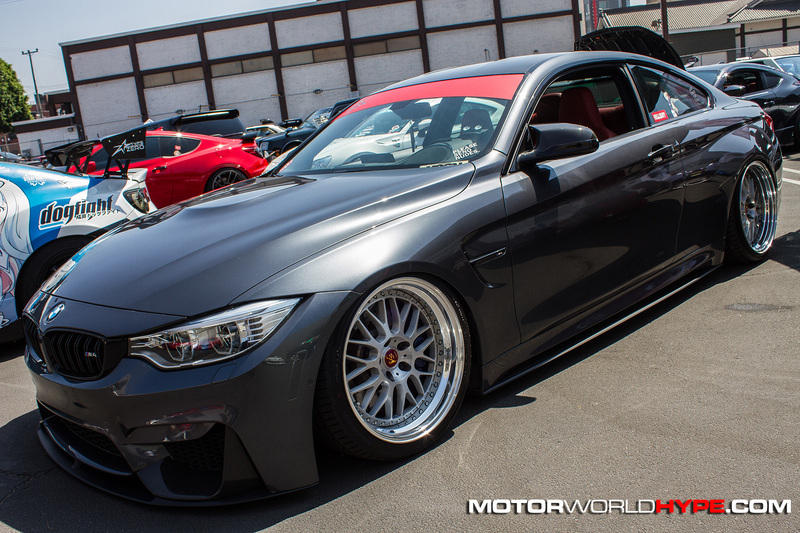 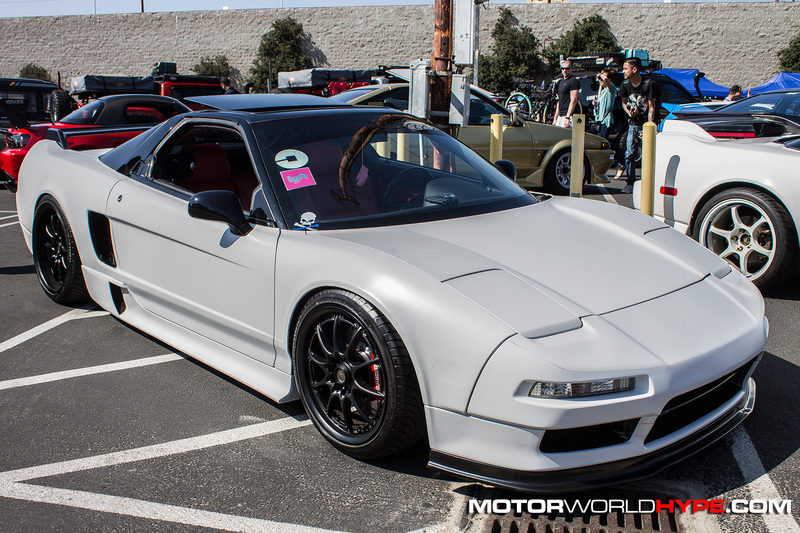 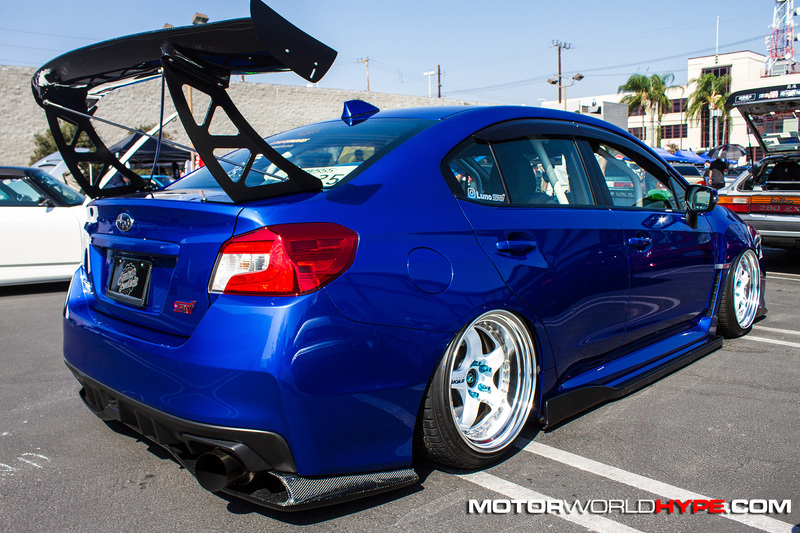 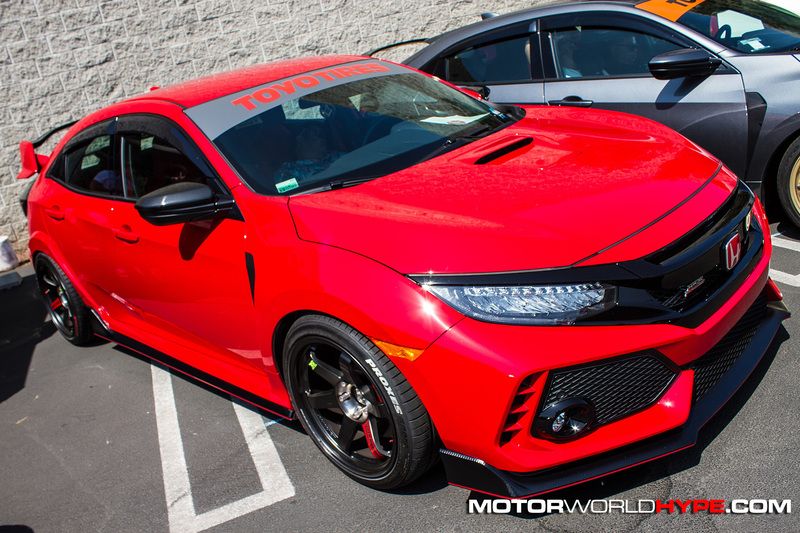 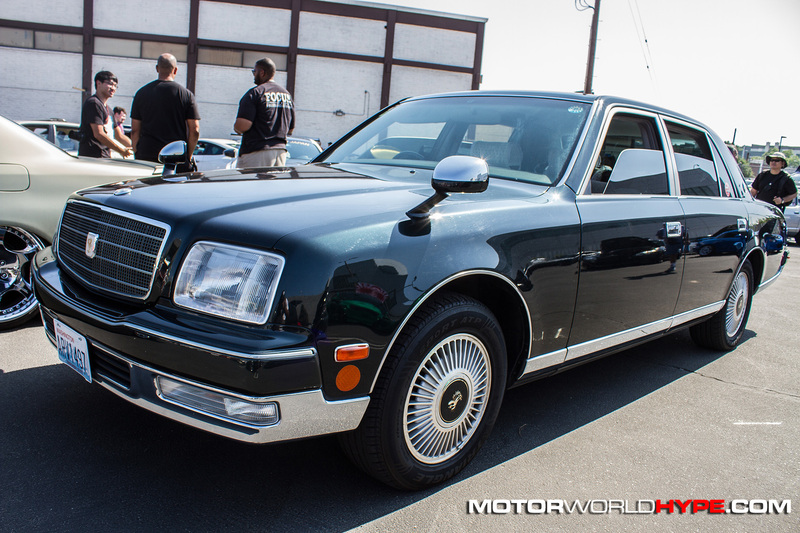 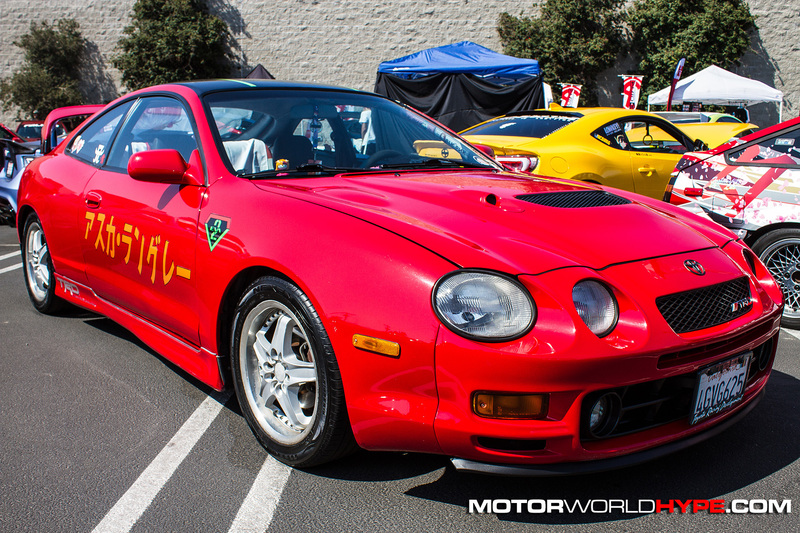 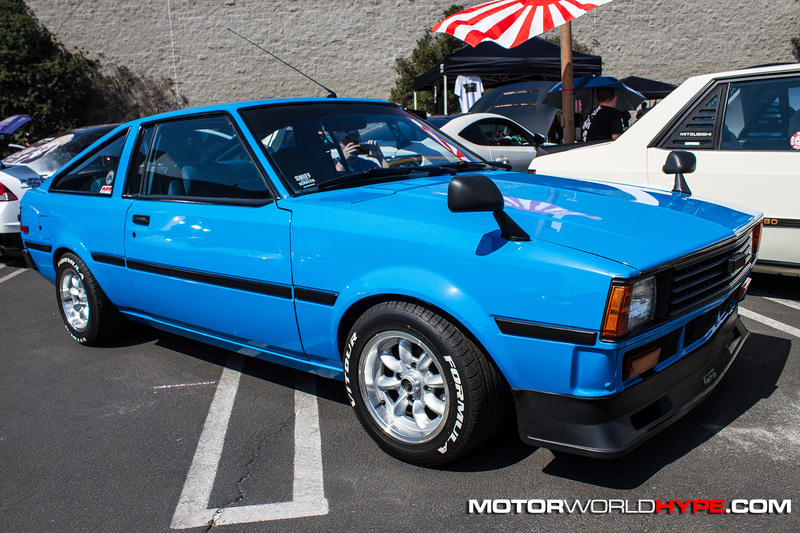 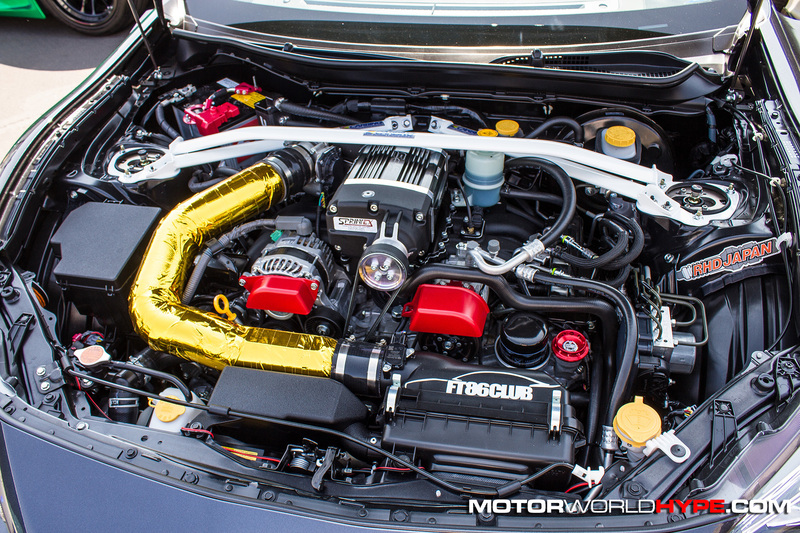 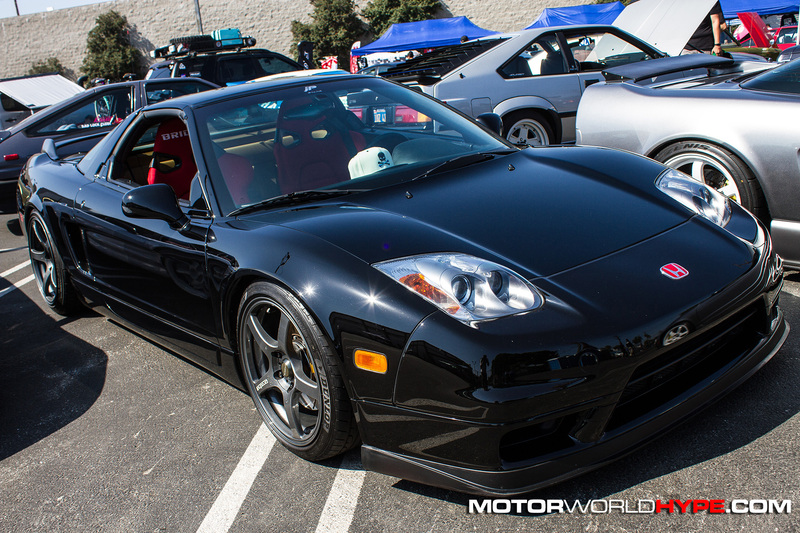 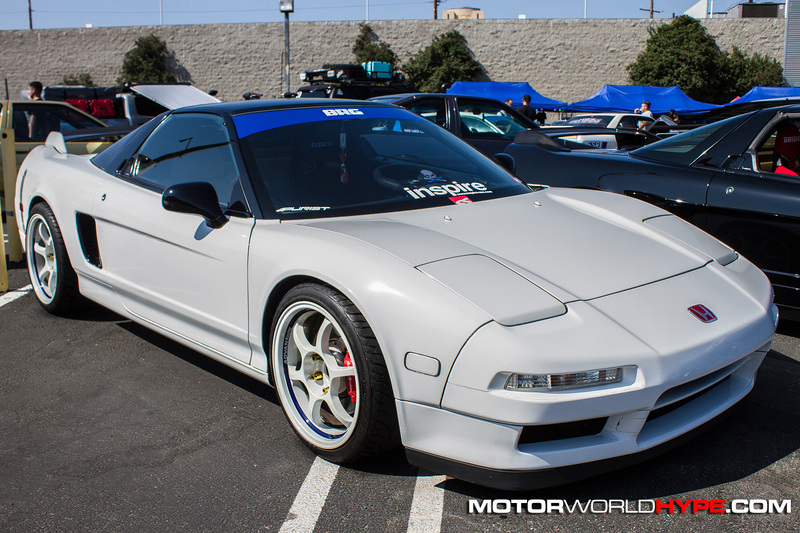 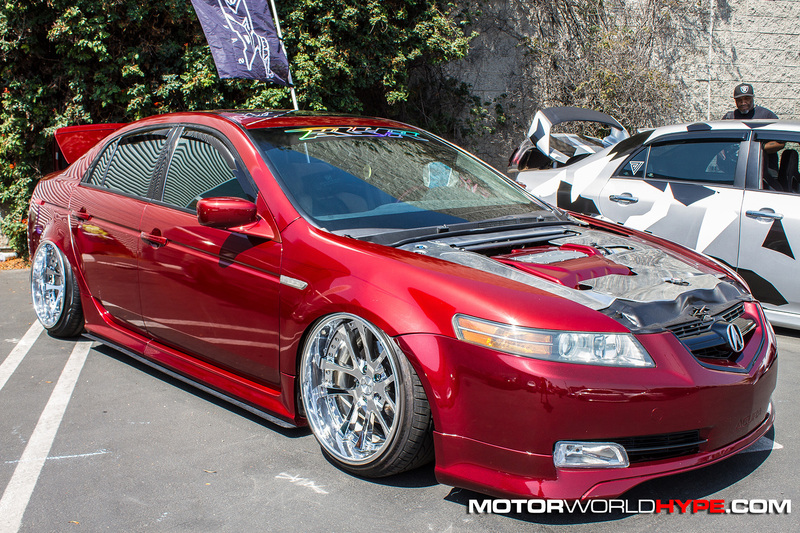 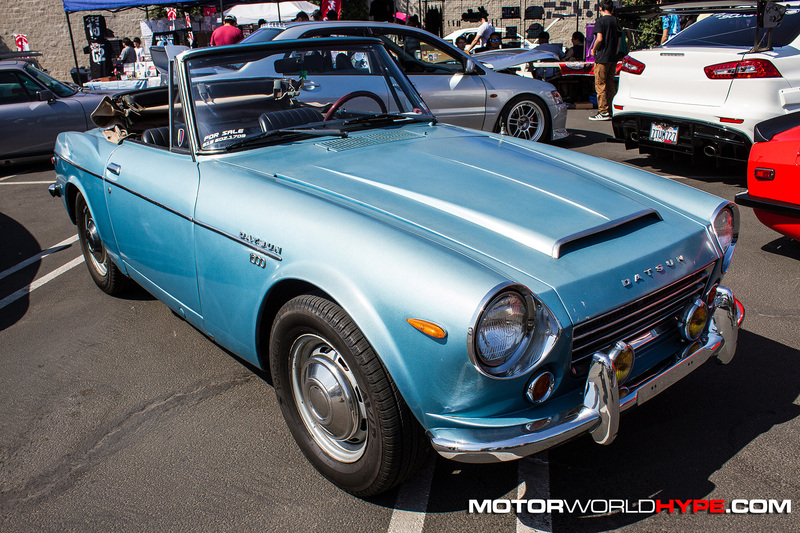 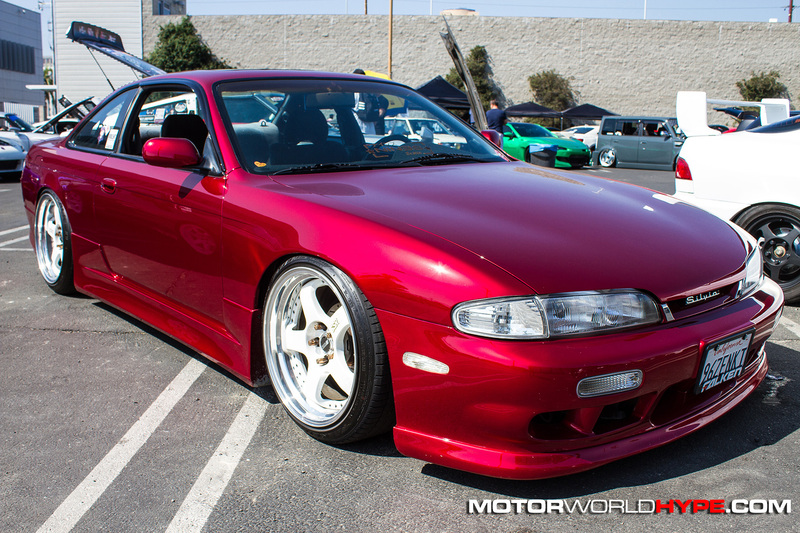 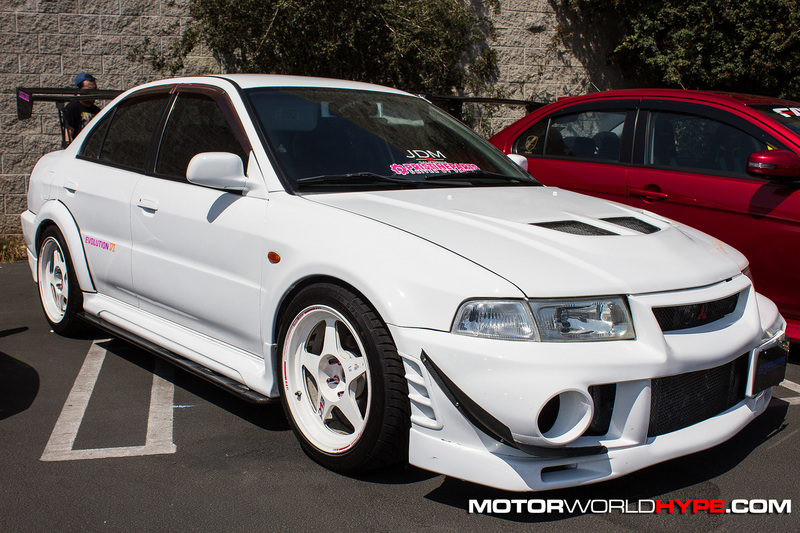 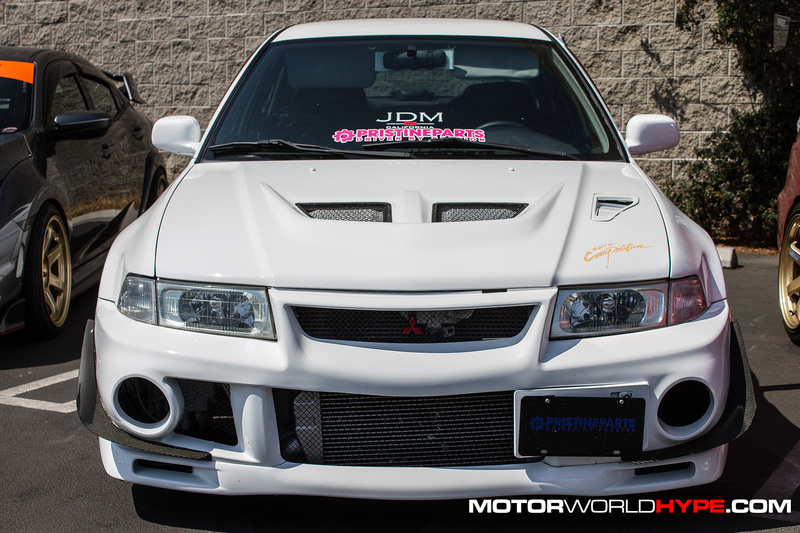 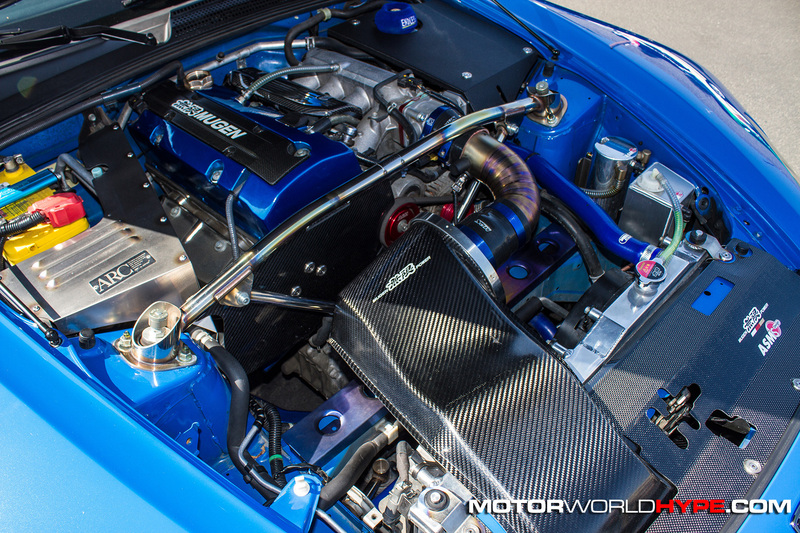 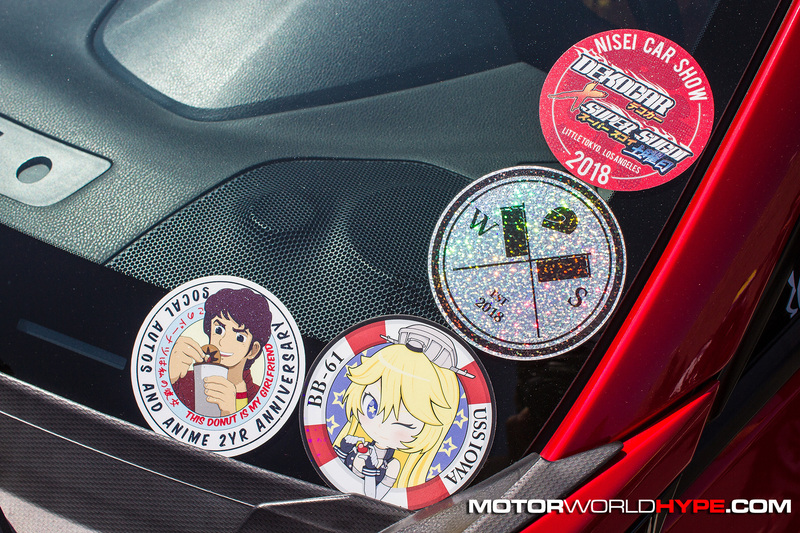 The Nisei Week Showoff has been regarded as one of the must-attend shows ever since as it tends to attract a small but very high quality group of show cars. 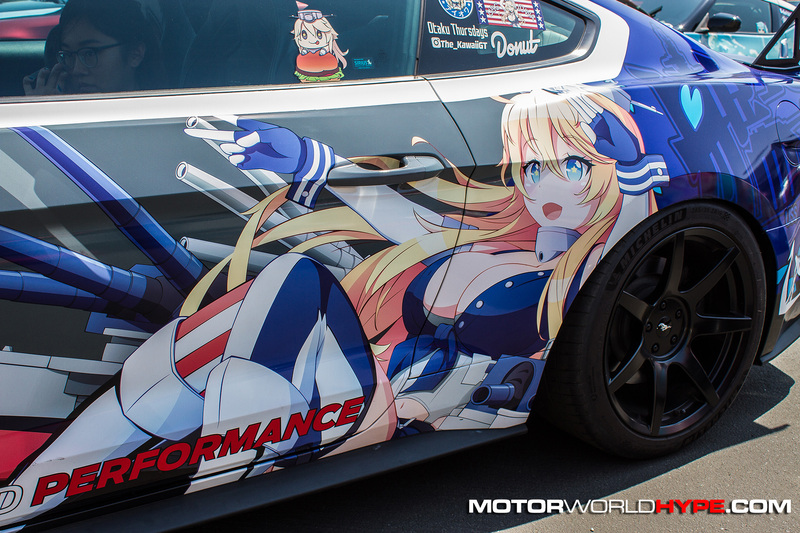 Though this year, Ken did something a little different. 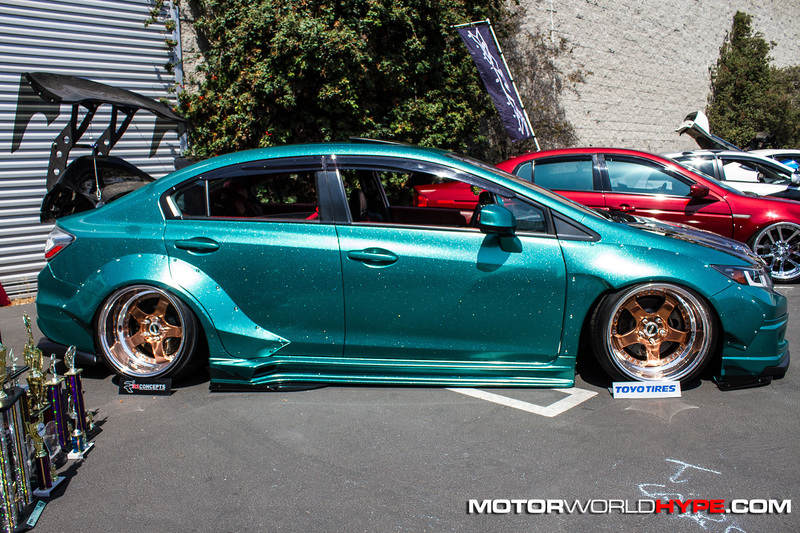 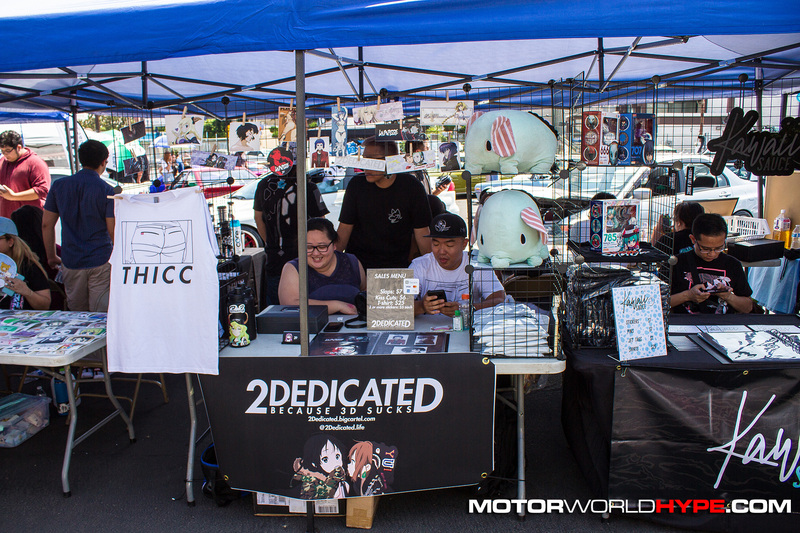 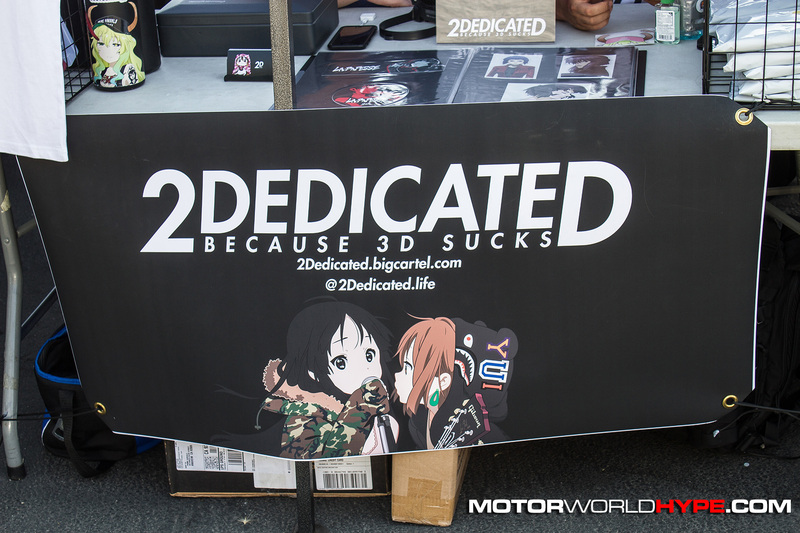 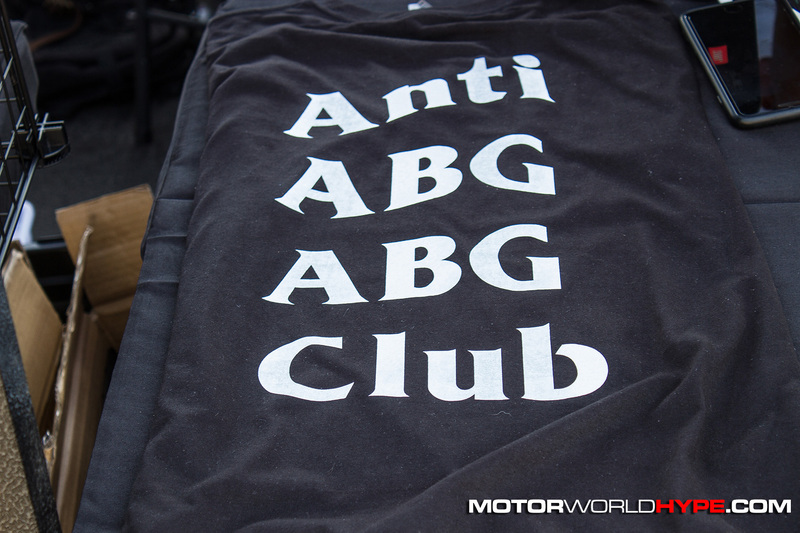 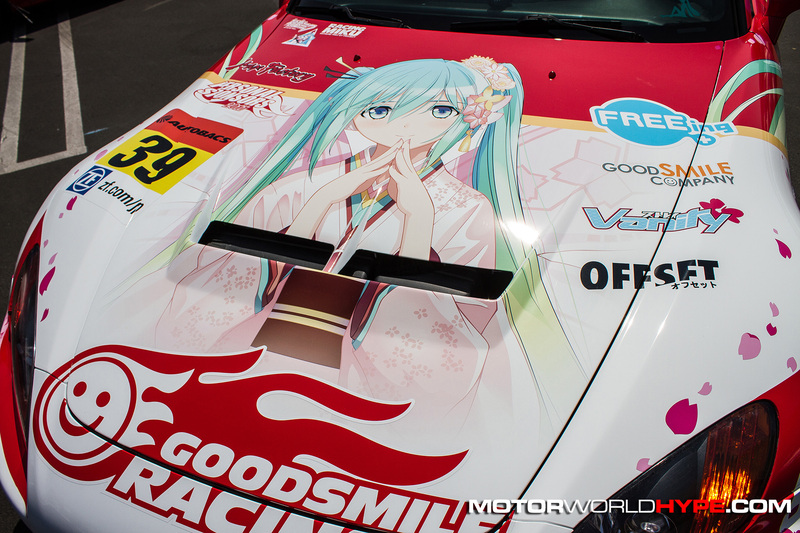 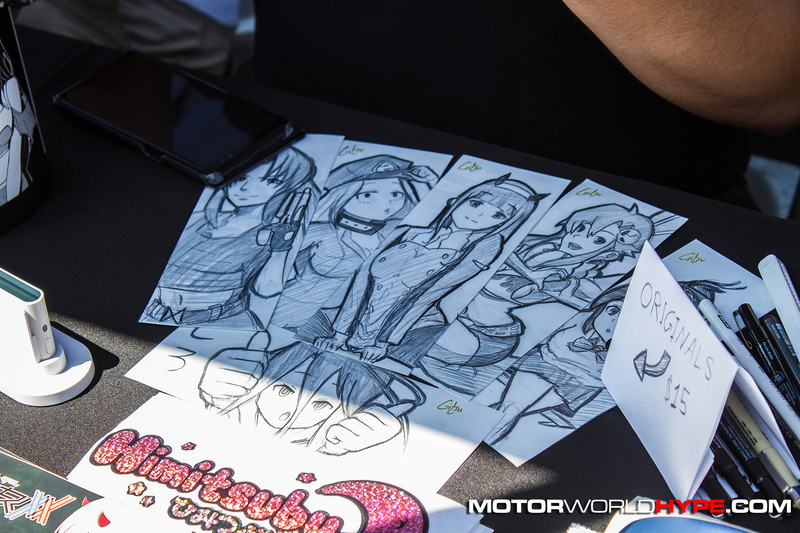 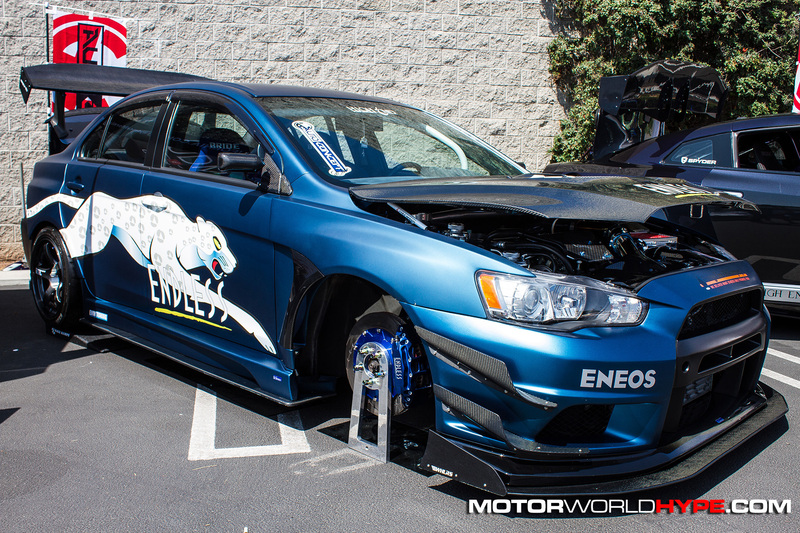 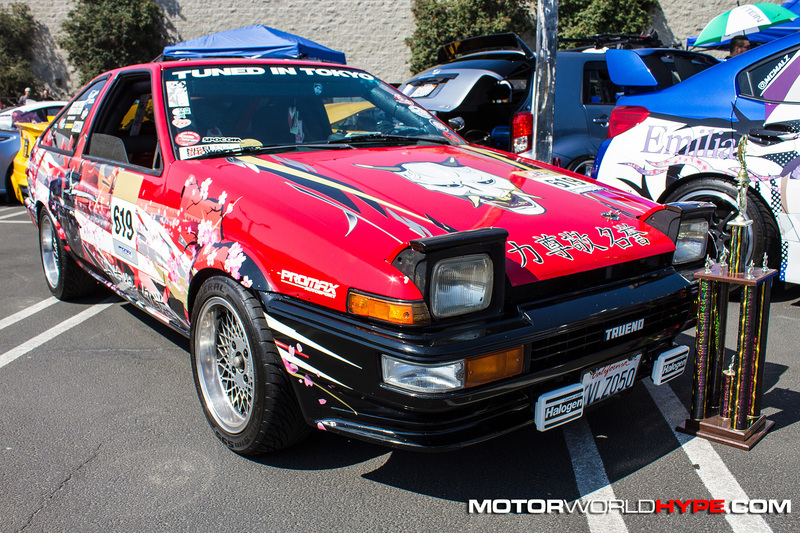 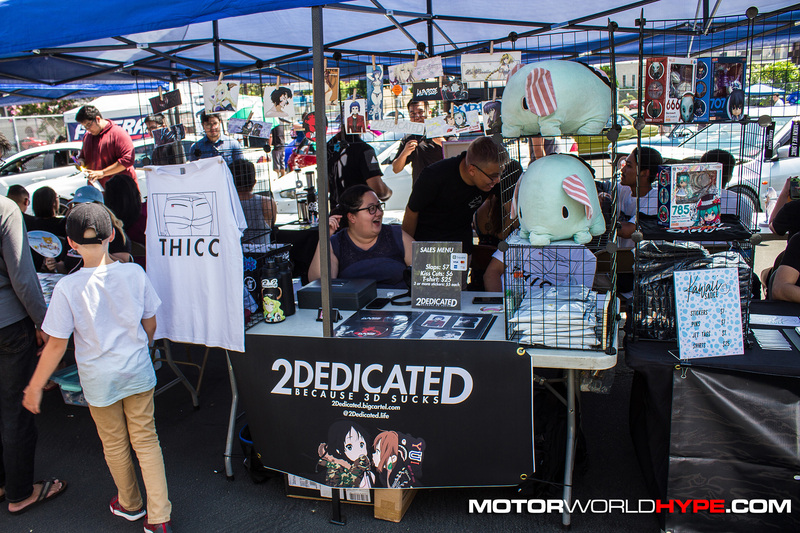 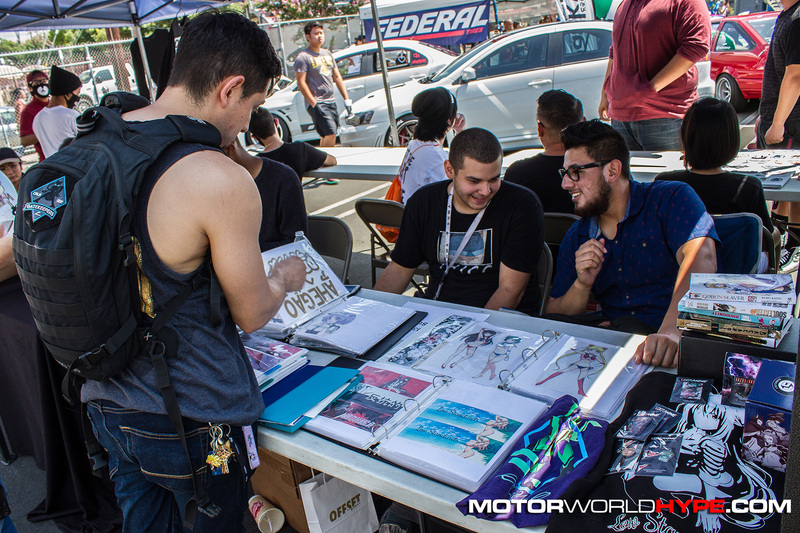 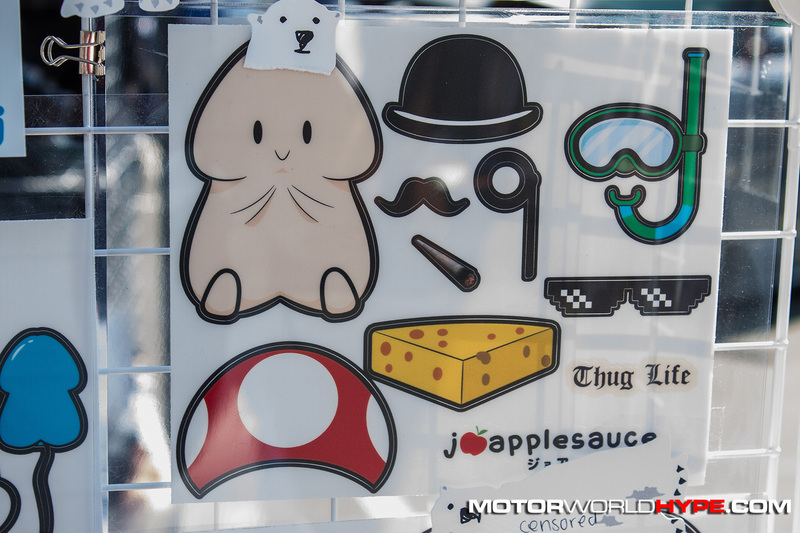 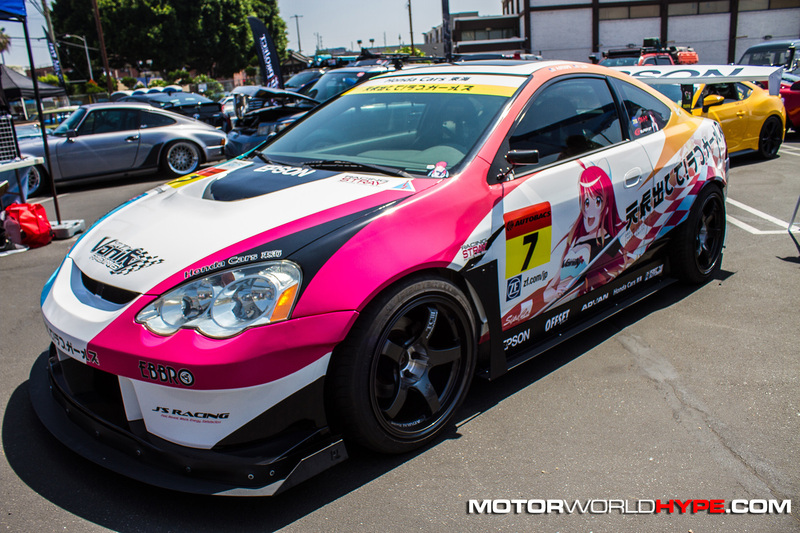 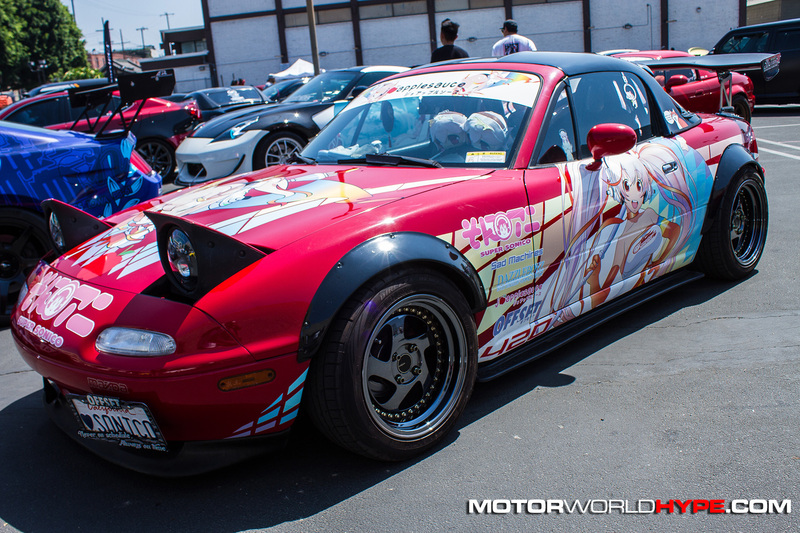 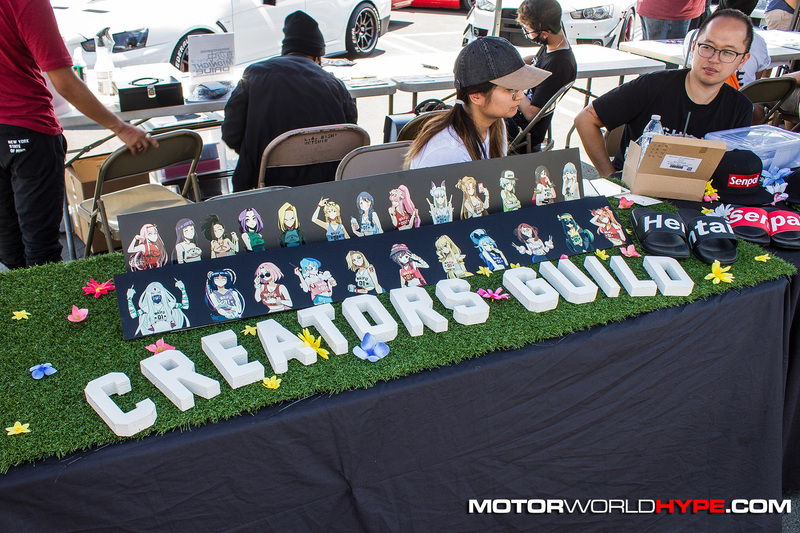 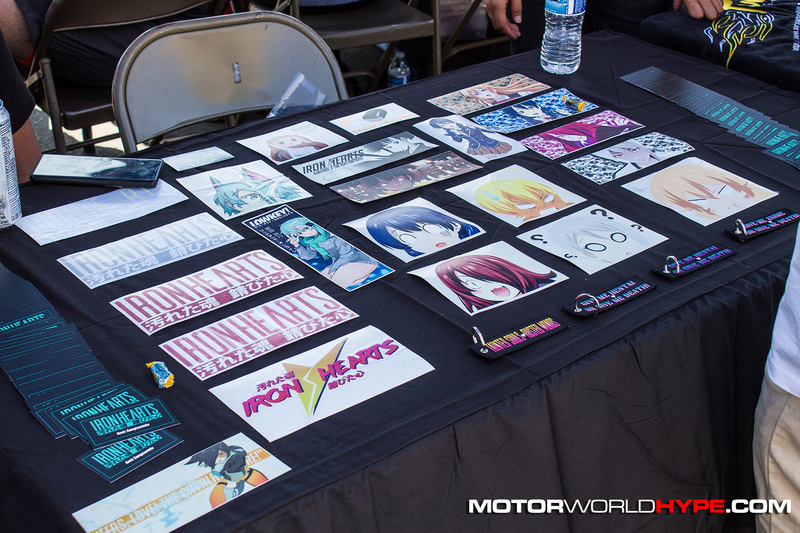 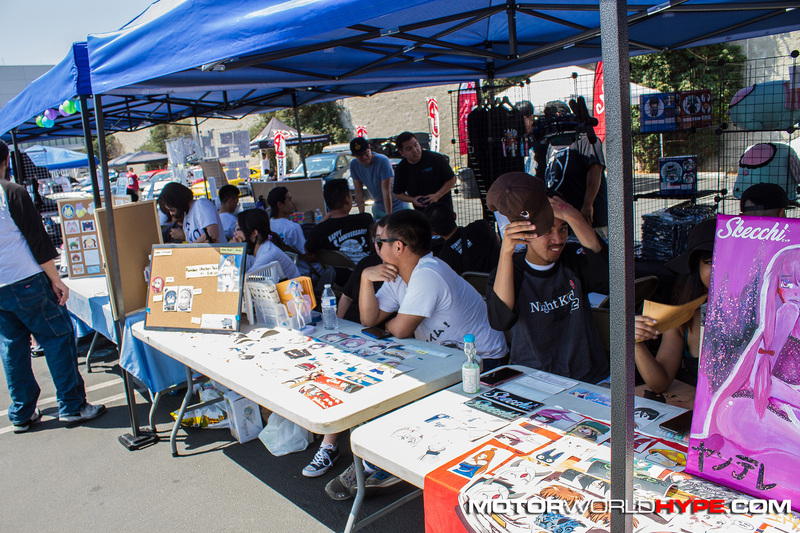 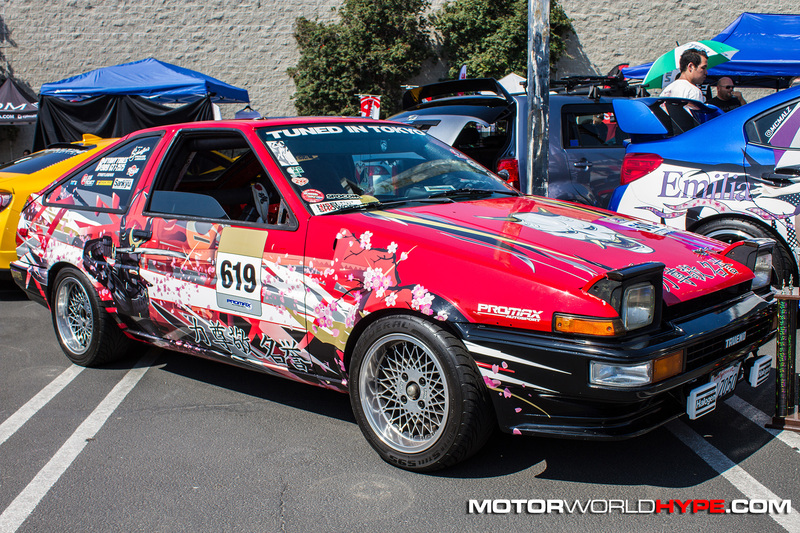 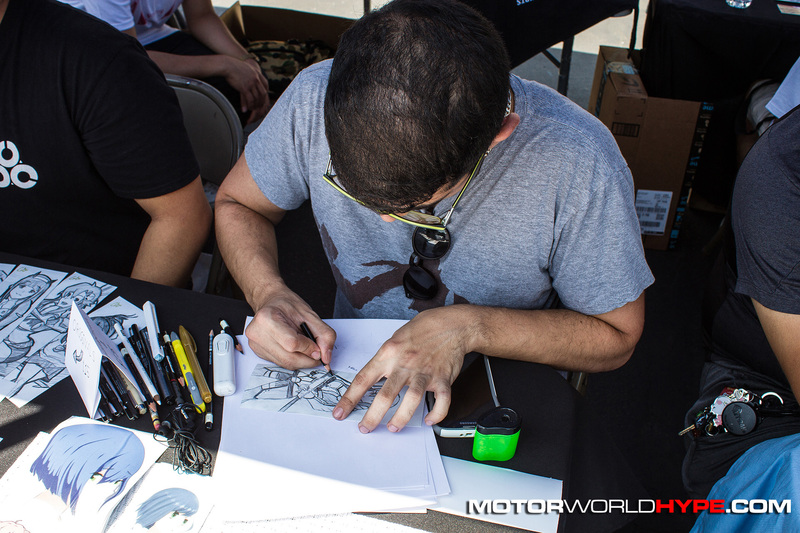 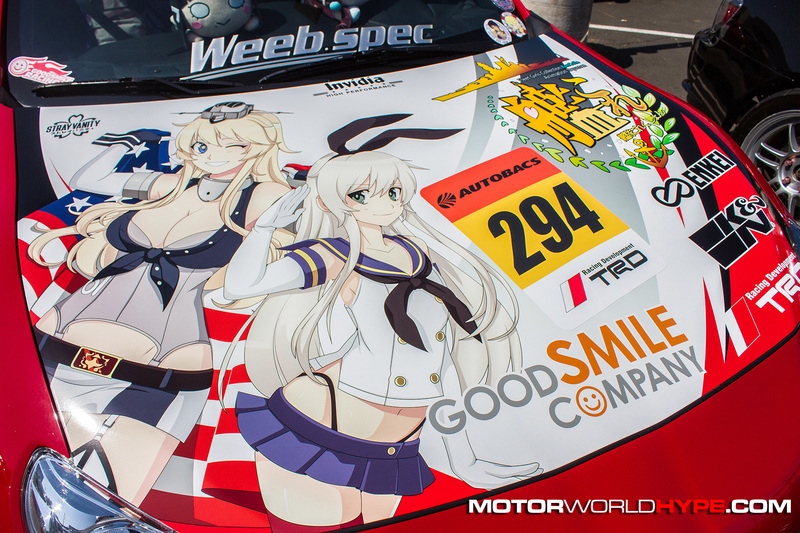 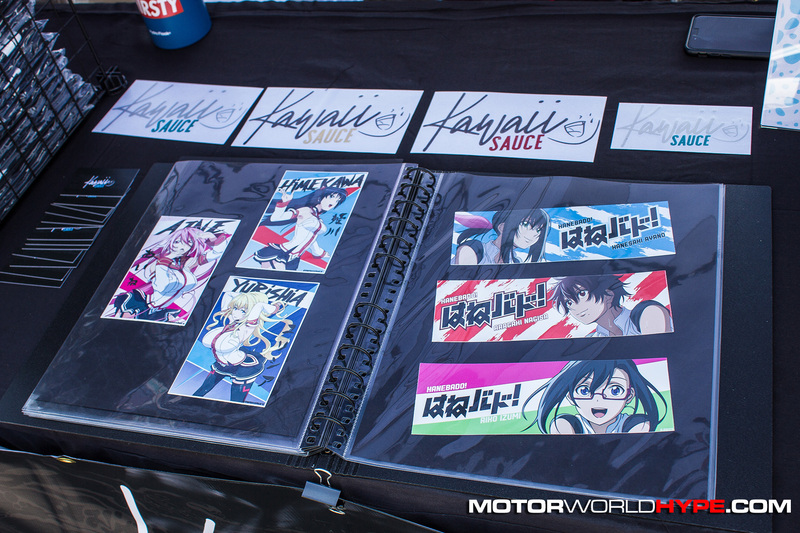 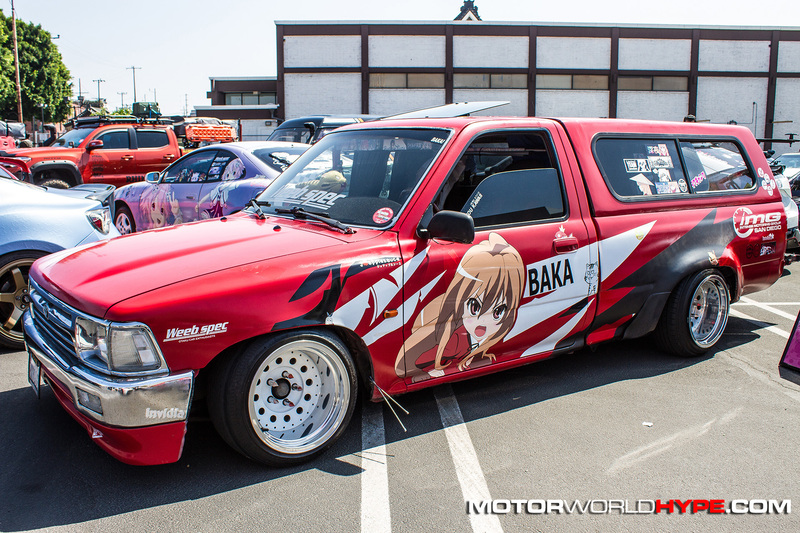 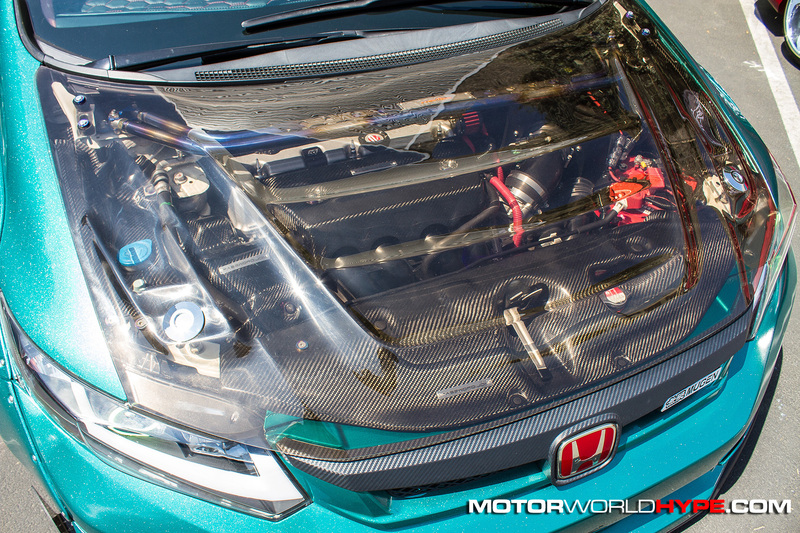 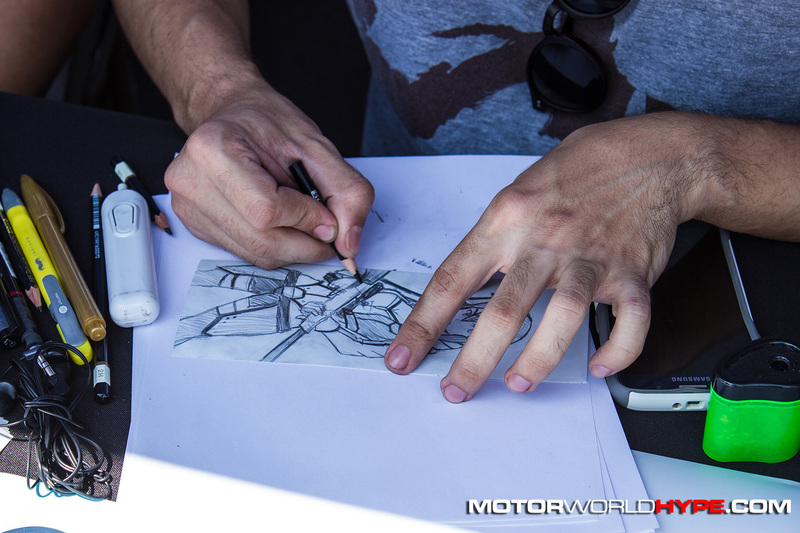 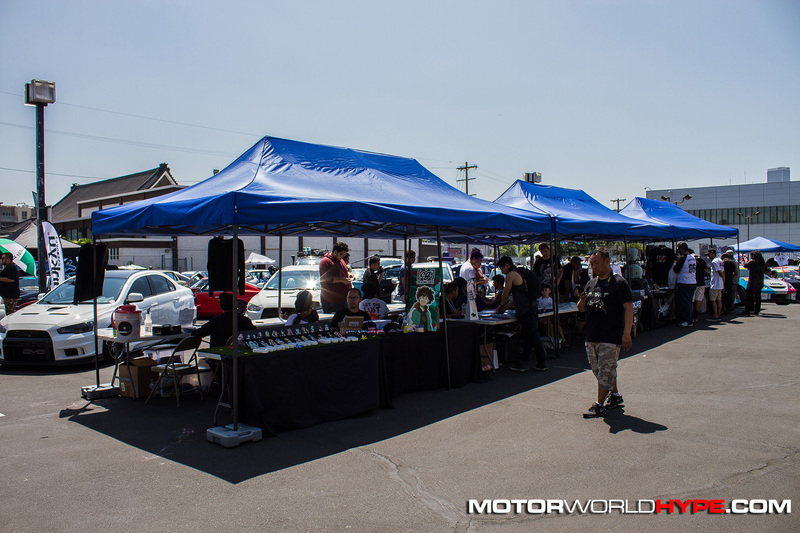 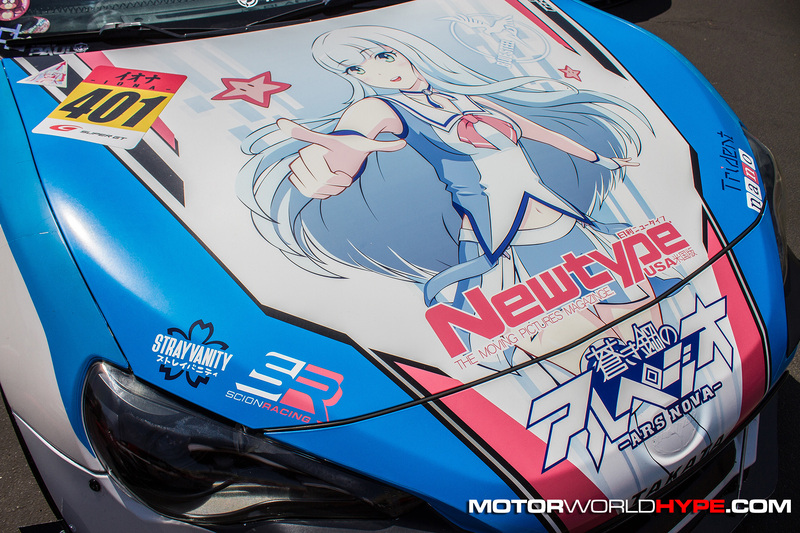 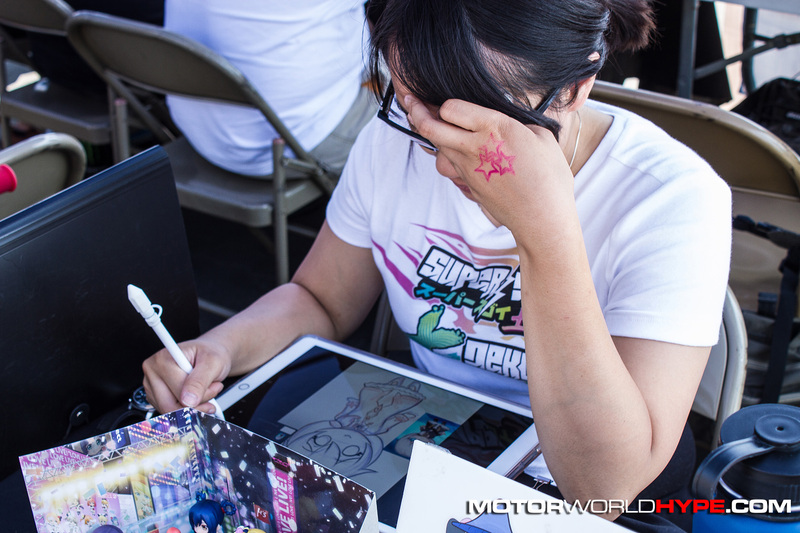 In addition to inviting some of the best show cars in the region, Ken also decided to celebrate the artistry of current Japanese culture by including an “artist alley” as well as having an entire section of the show dedicated to “Itasha” cars. 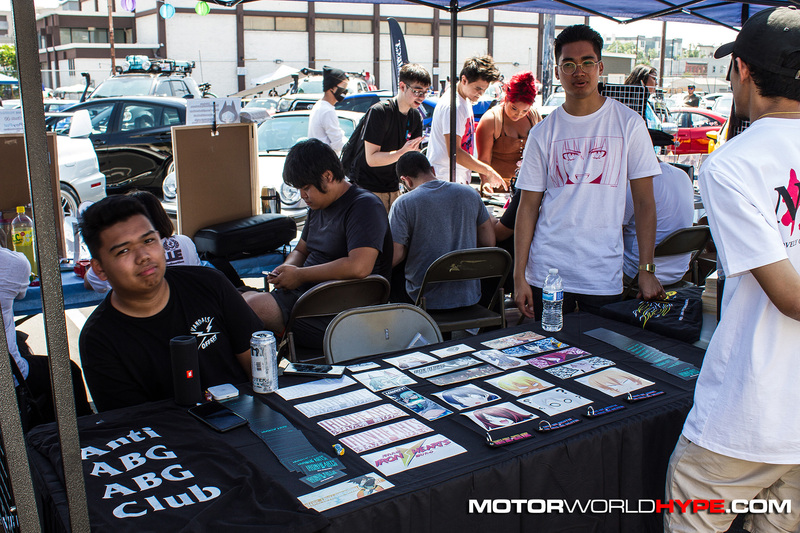 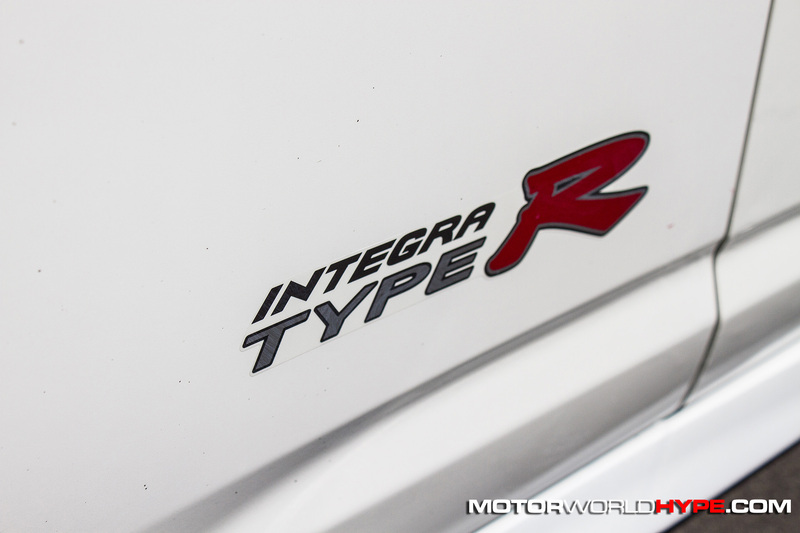 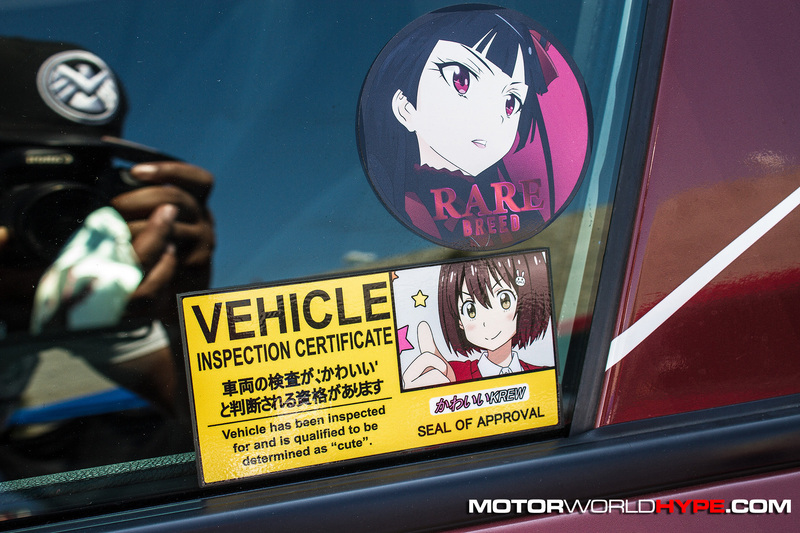 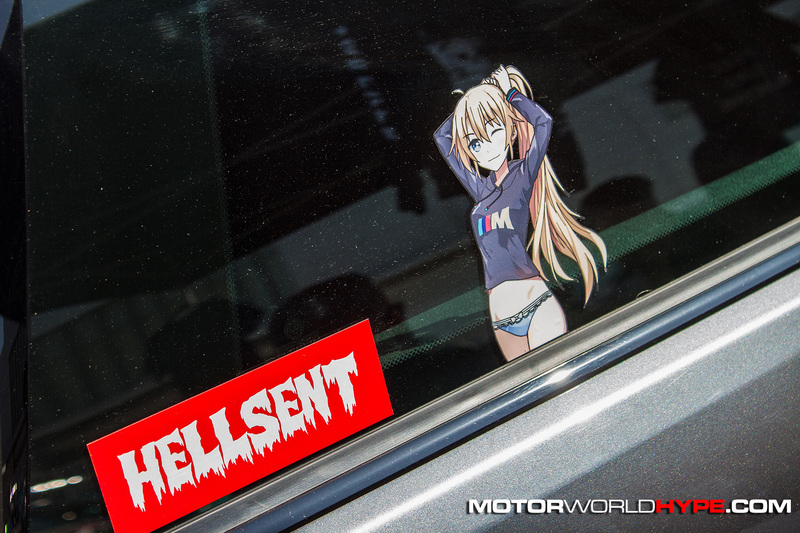 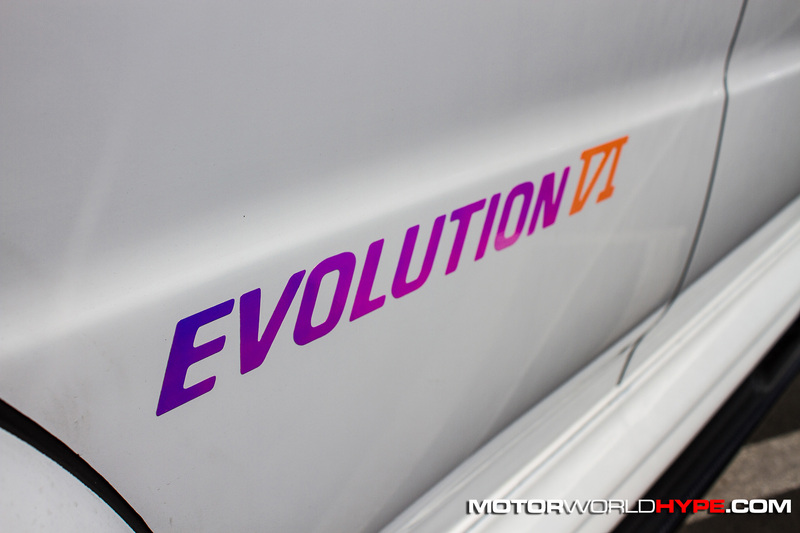 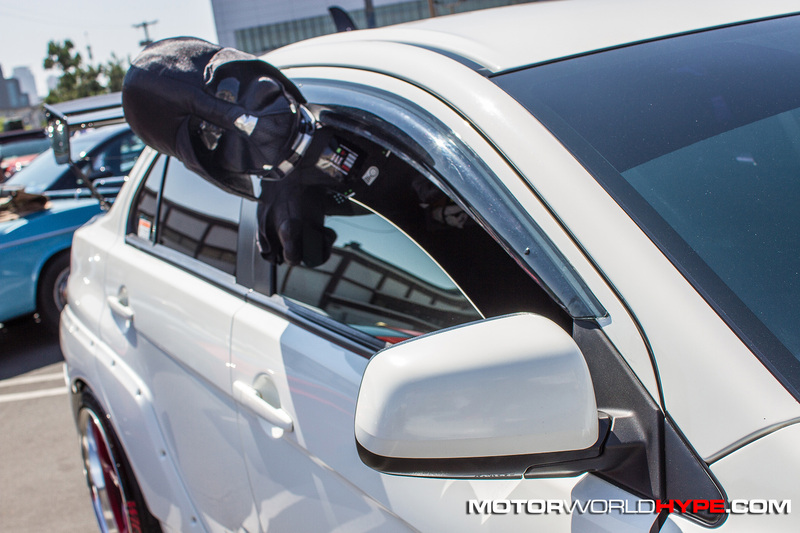 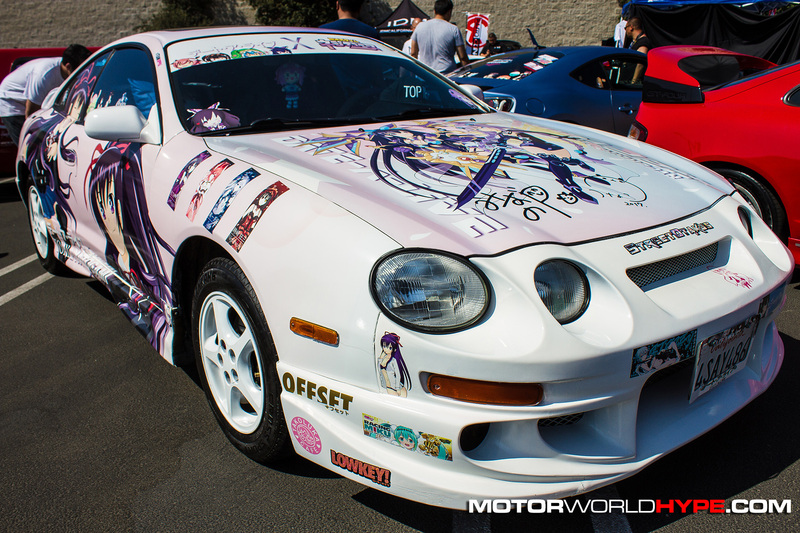 While you may not have heard the term before you’re probably already familiar with Itasha cars if you’ve been to an import car show within the last 10 years or so. 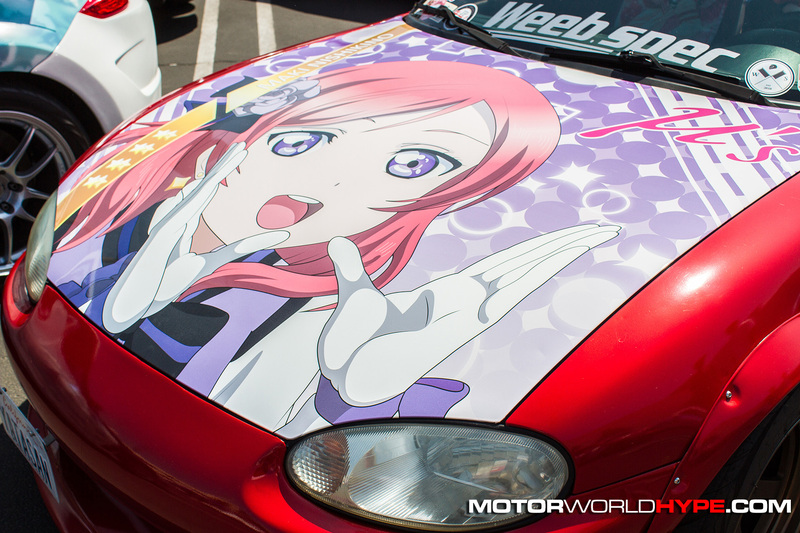 Itasha is a Japanese term used for those who decorate their cars with elaborate and often, highly detailed vinyl wraps of anime and manga characters. 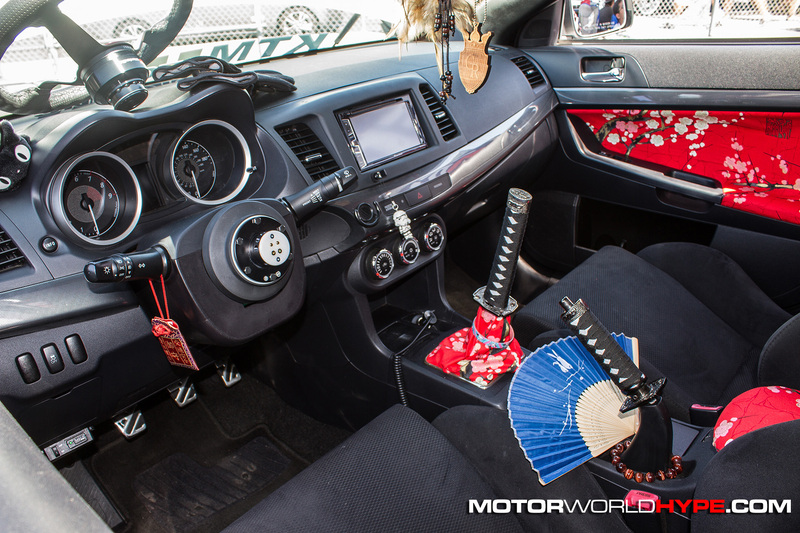 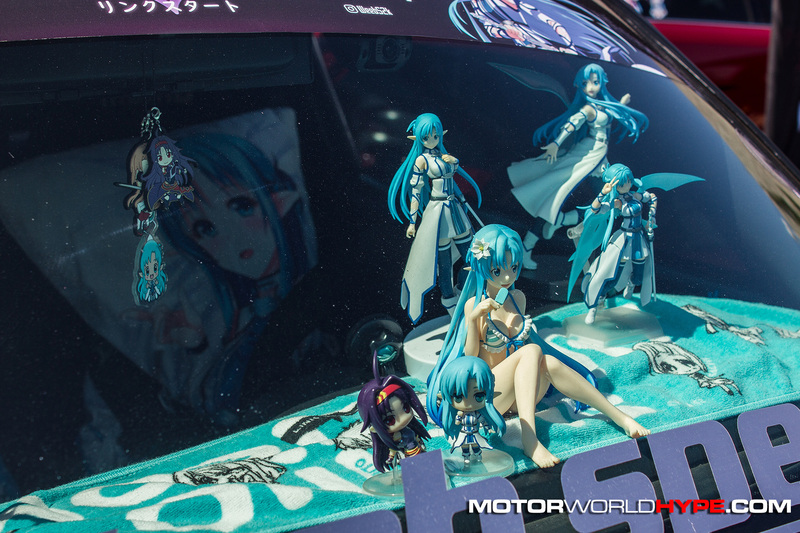 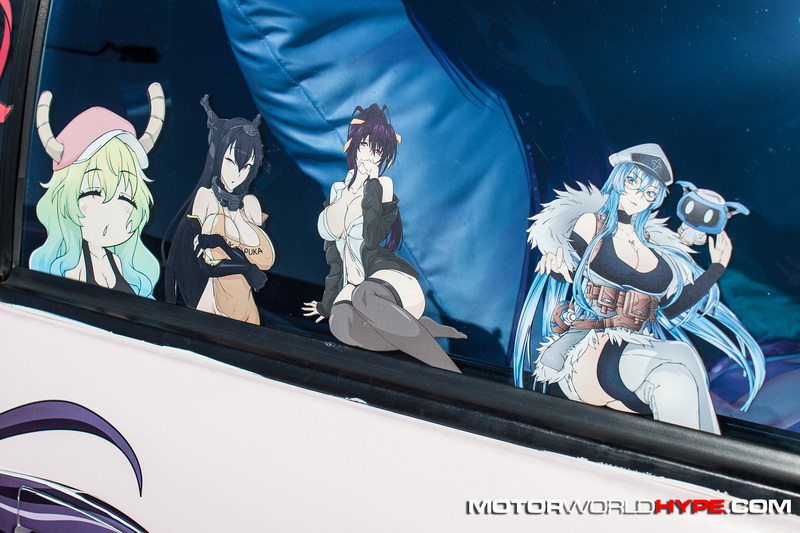 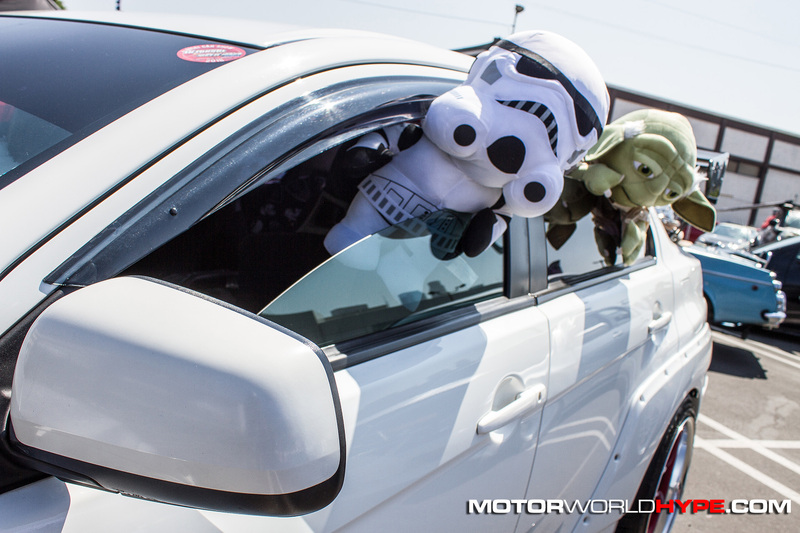 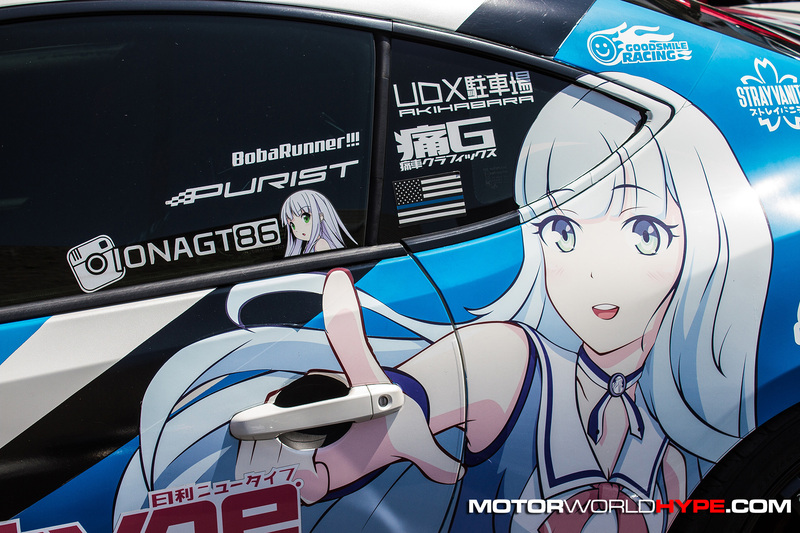 Itasha can also extend into the interior of cars as well with owners filling their cars with plushies and figurines of manga characters as well. 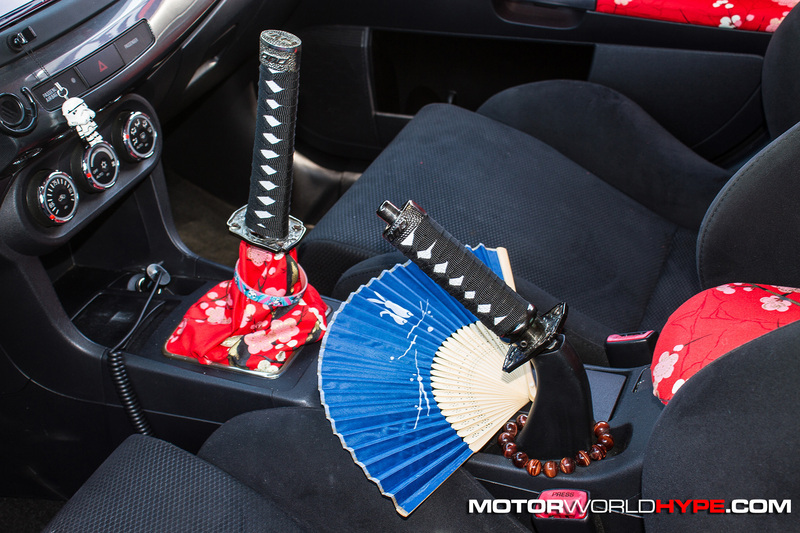 Sometimes they’re even upholstered into the interior panels! 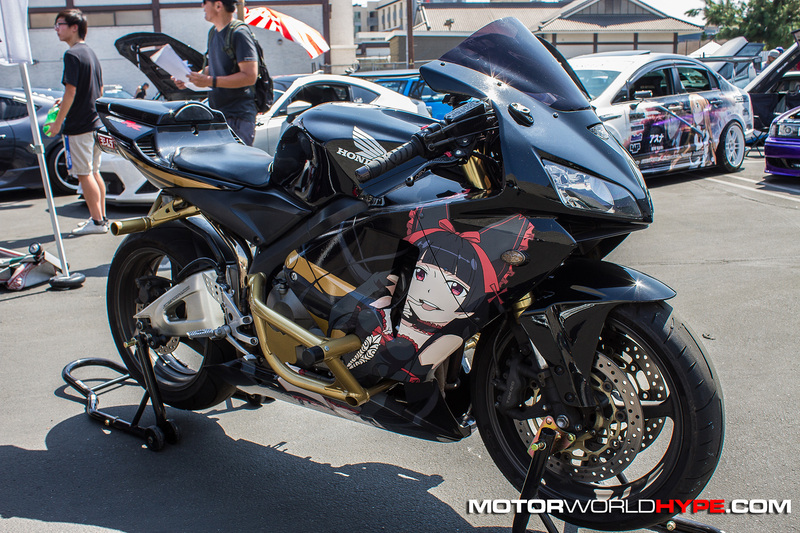 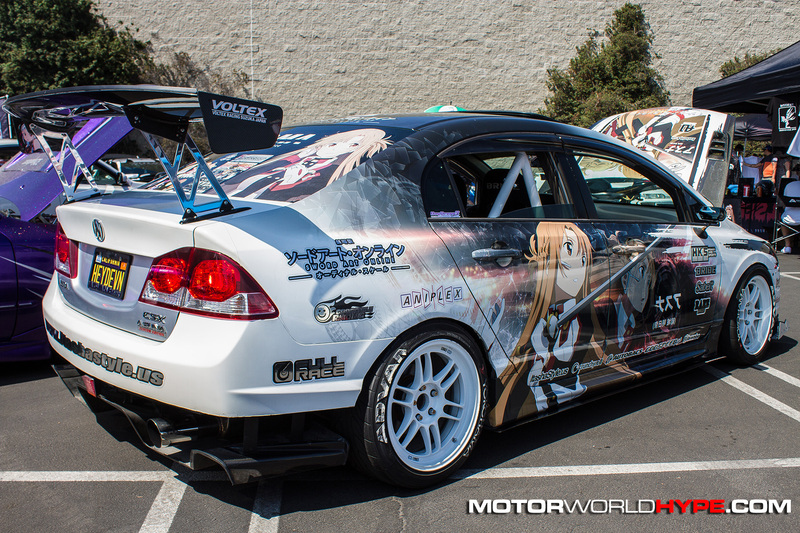 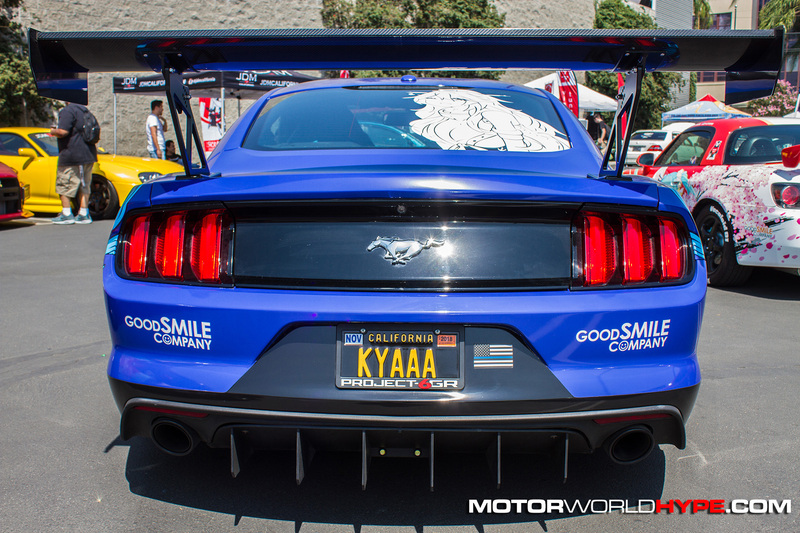 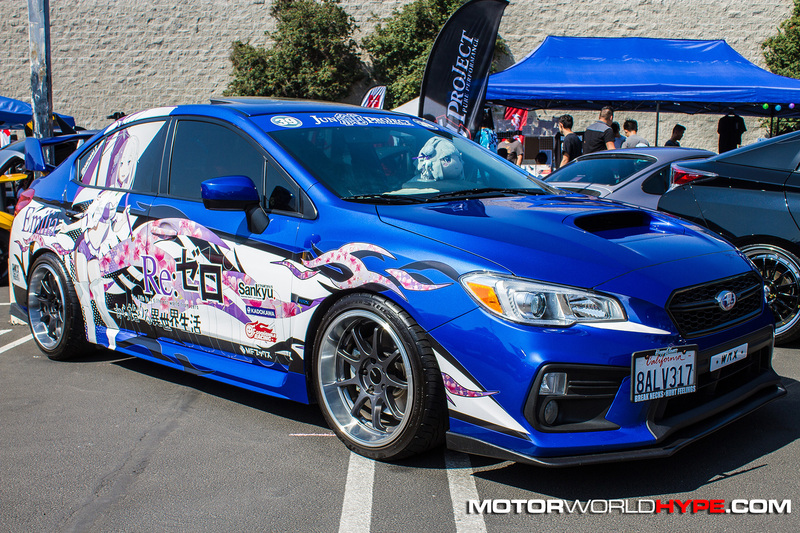 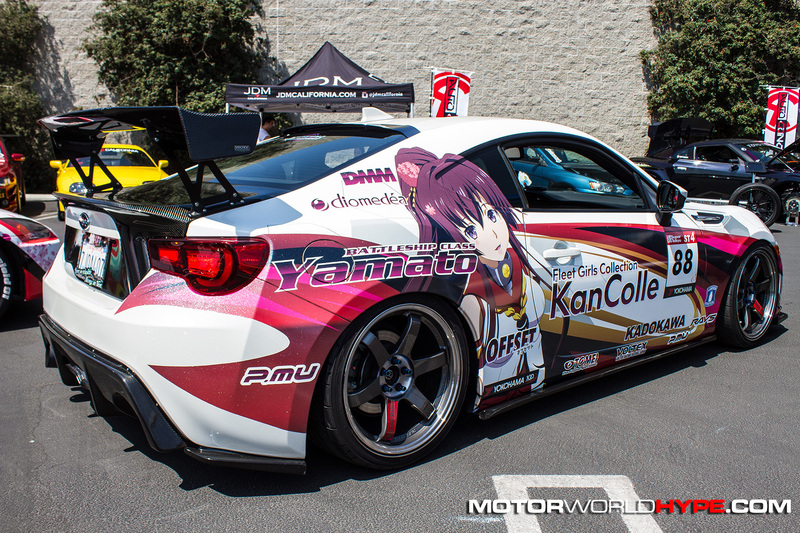 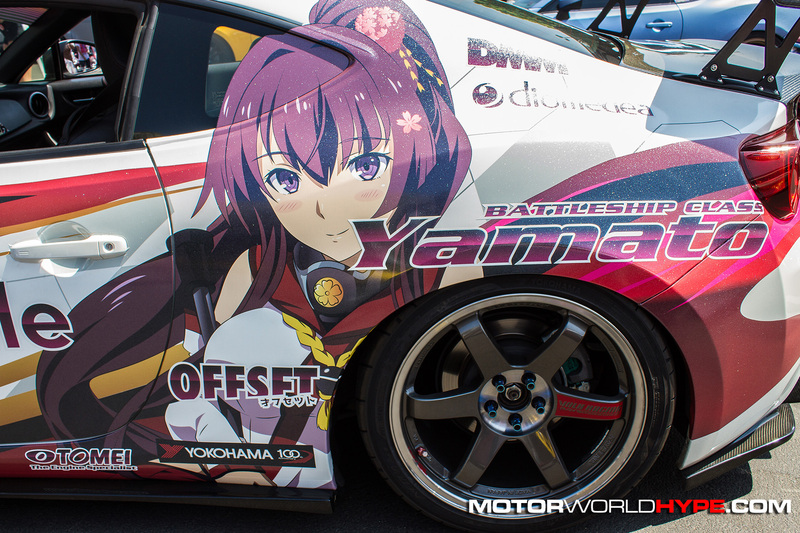 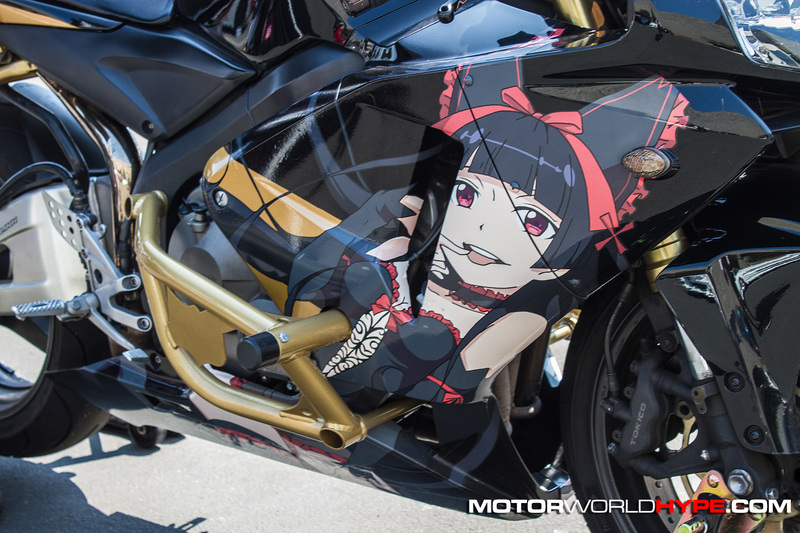 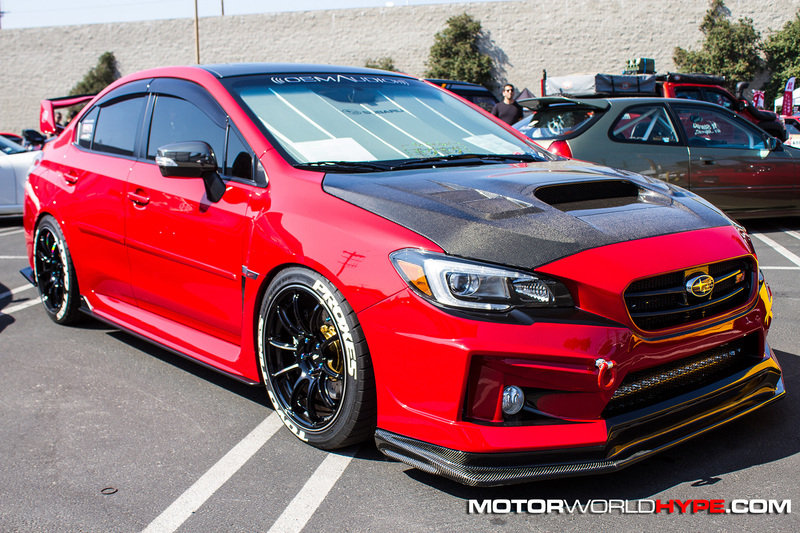 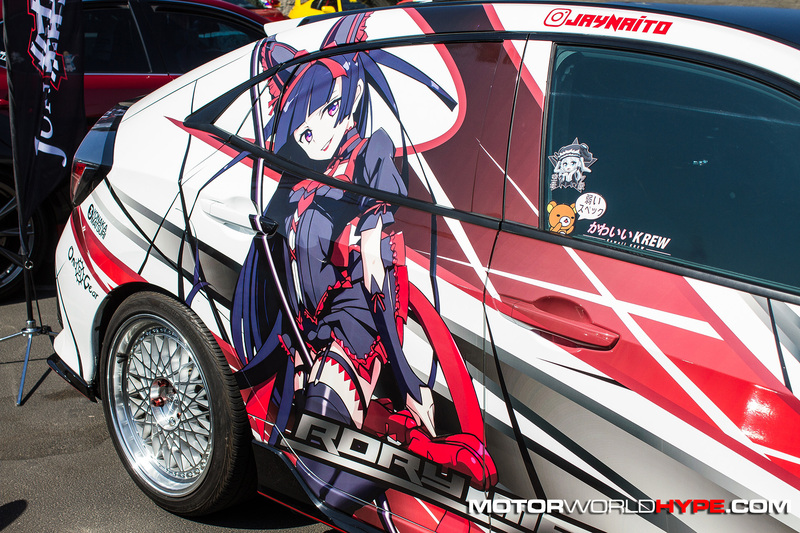 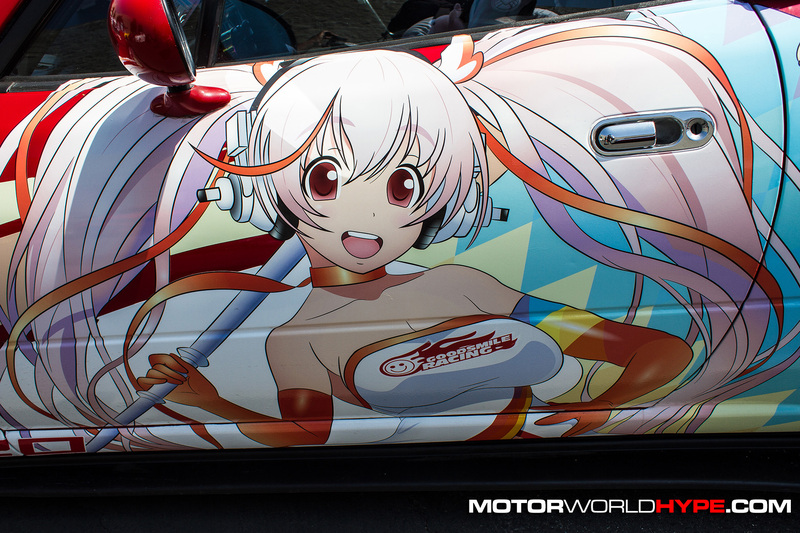 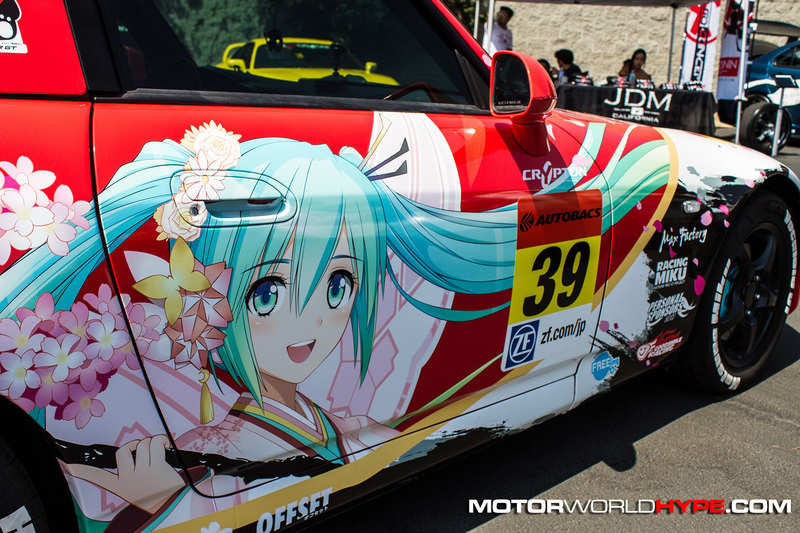 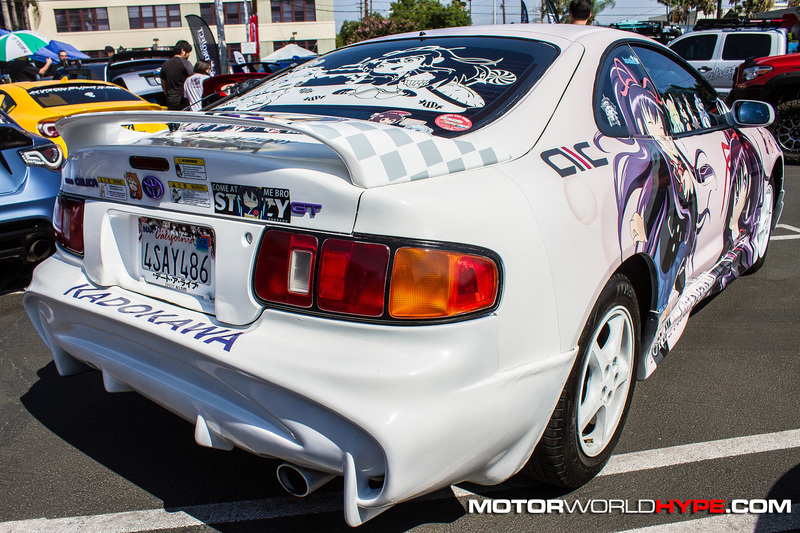 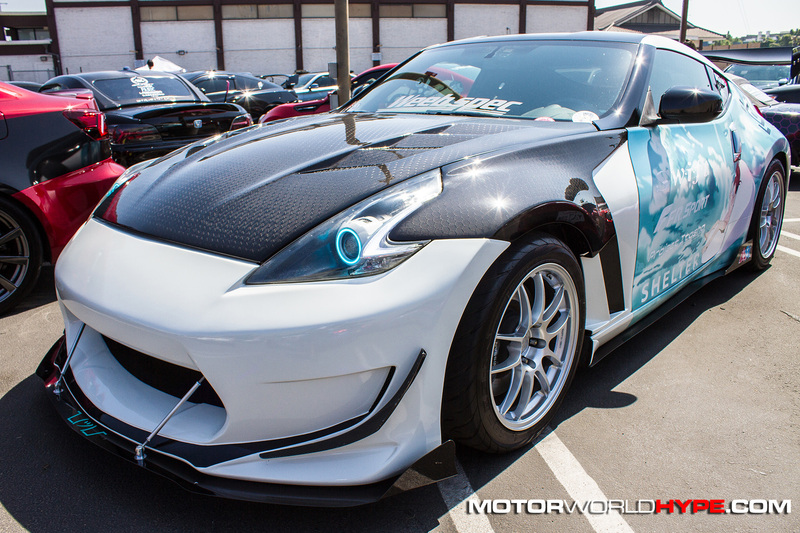 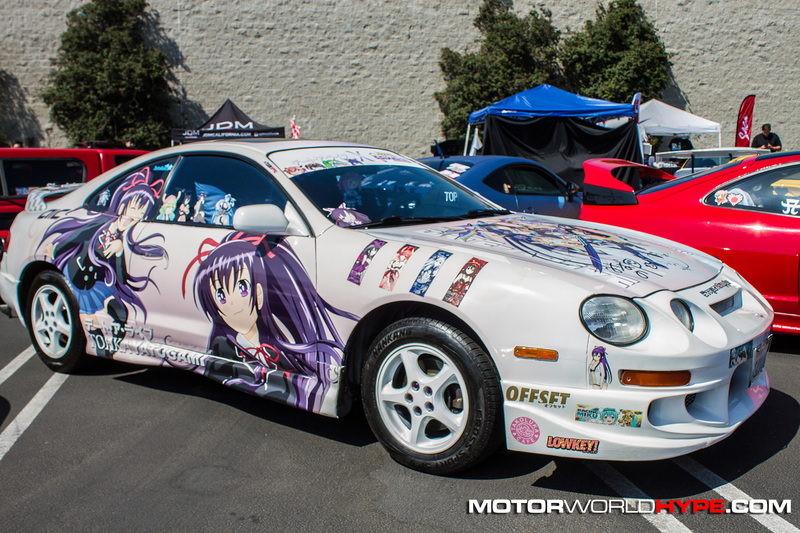 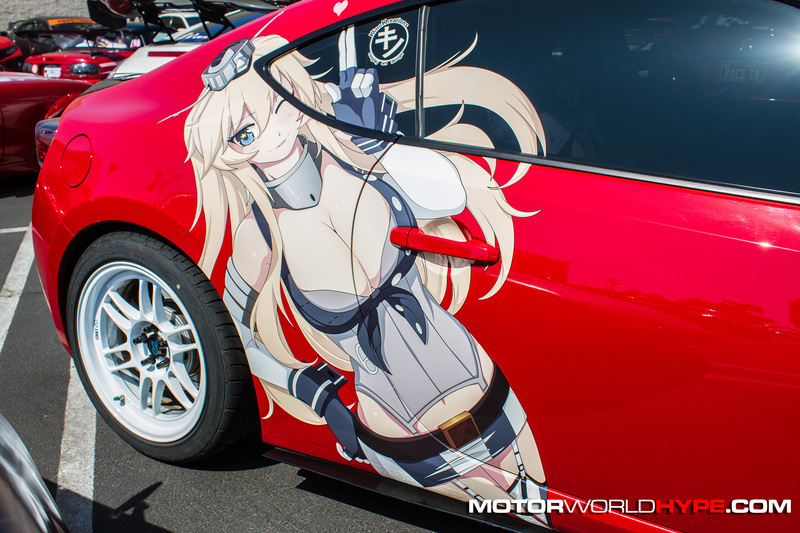 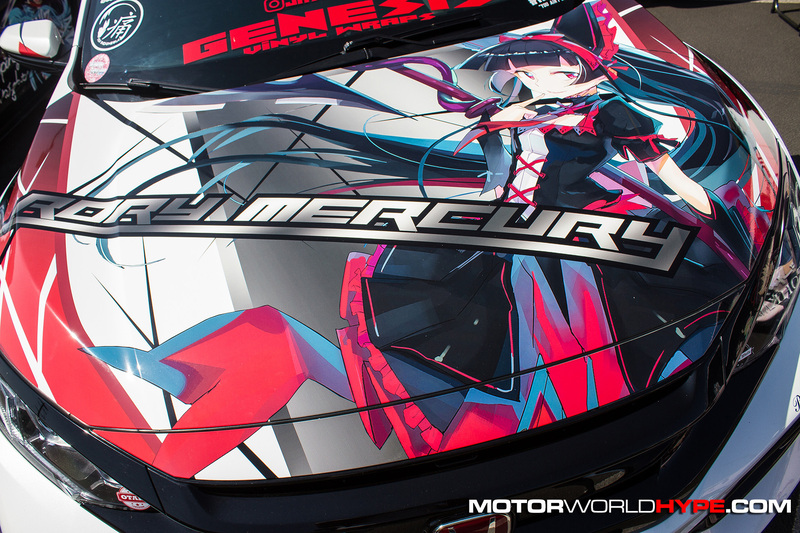 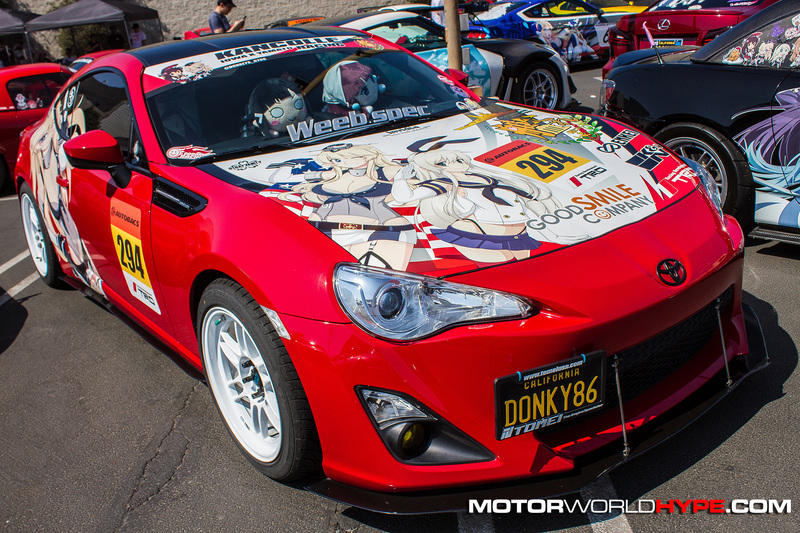 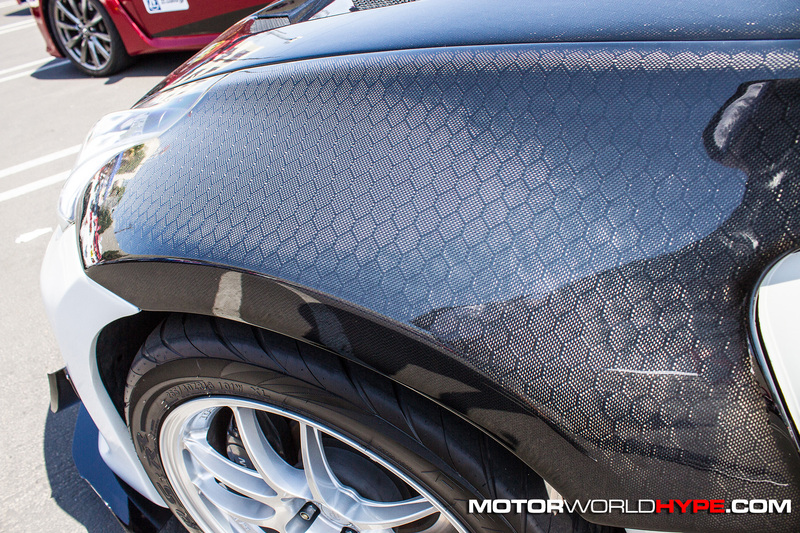 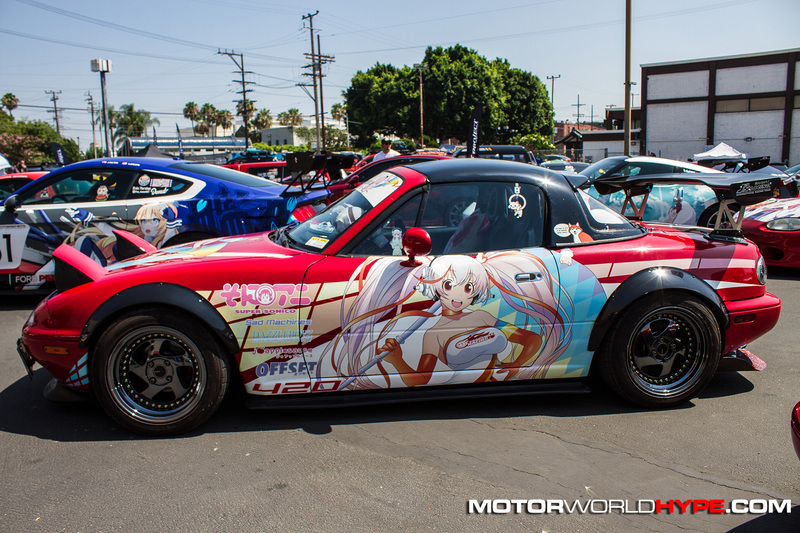 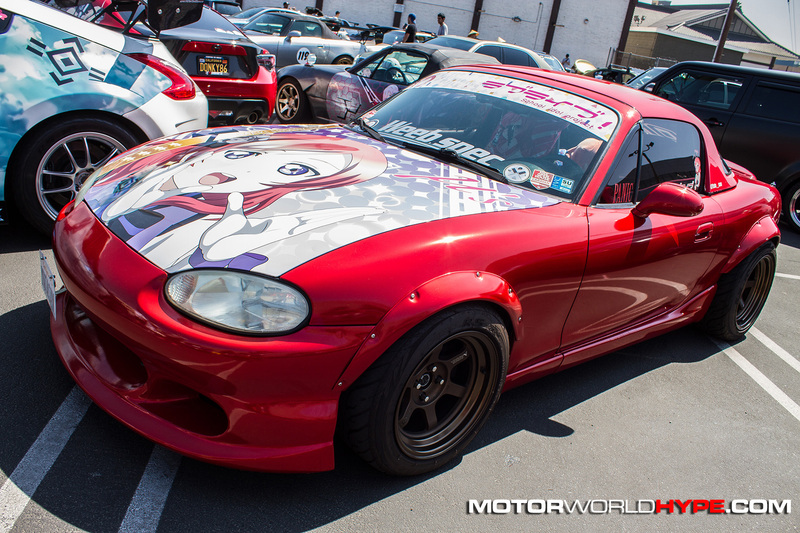 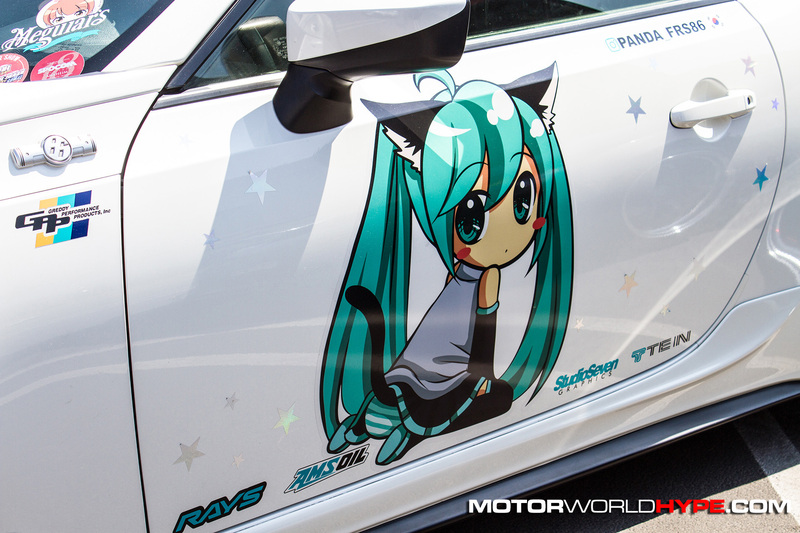 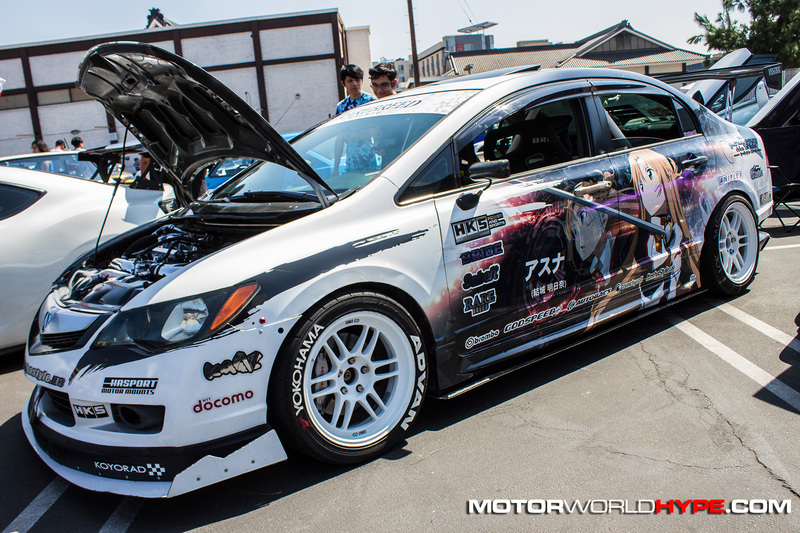 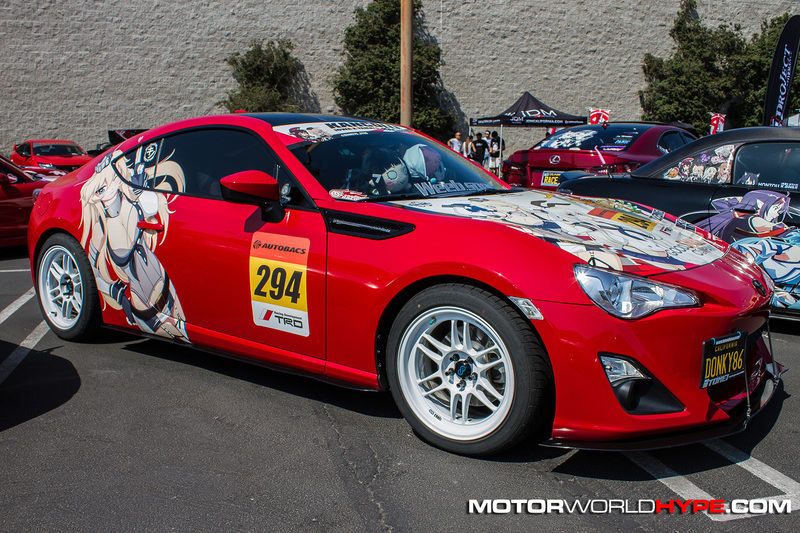 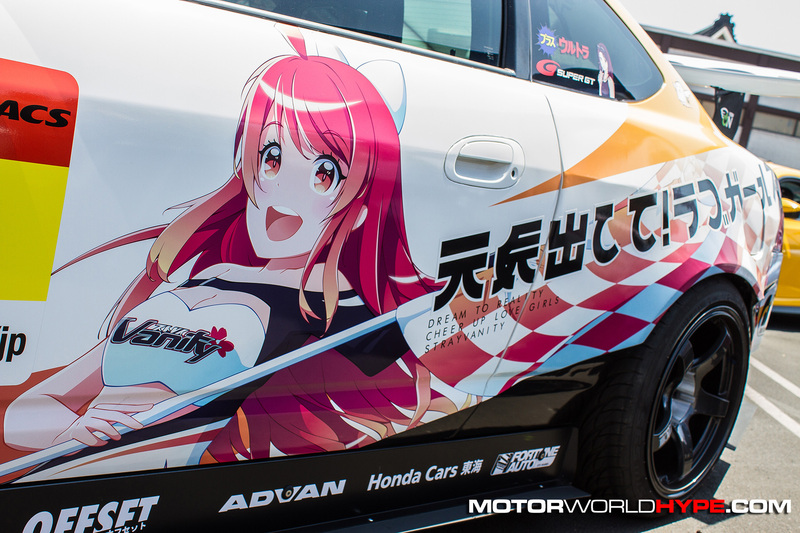 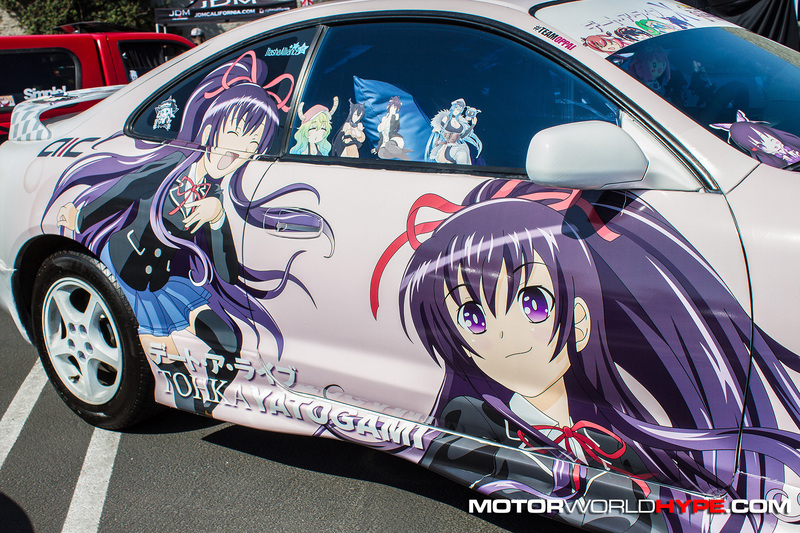 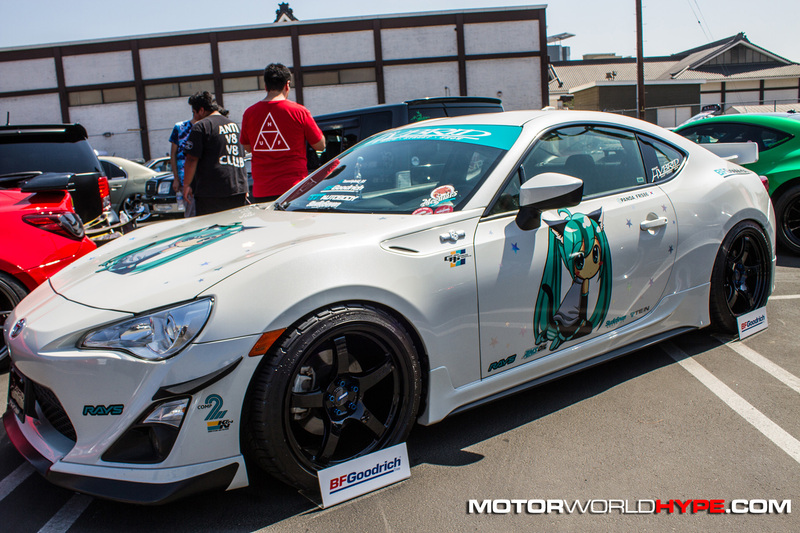 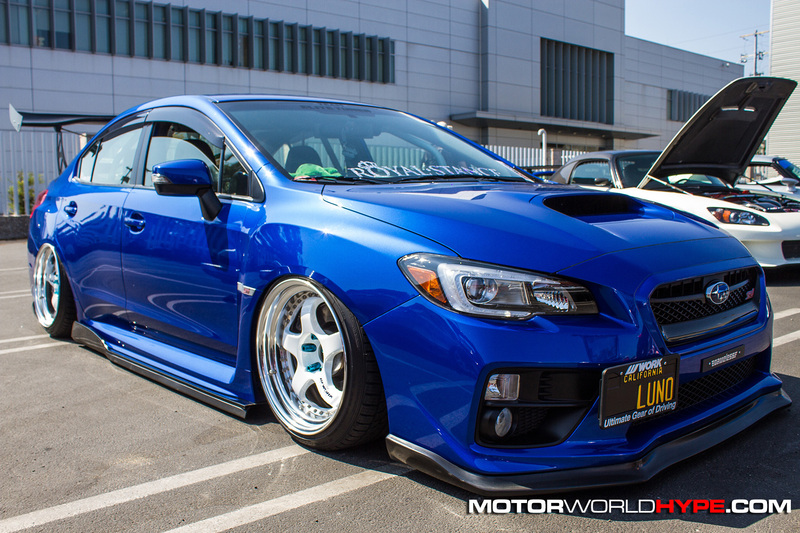 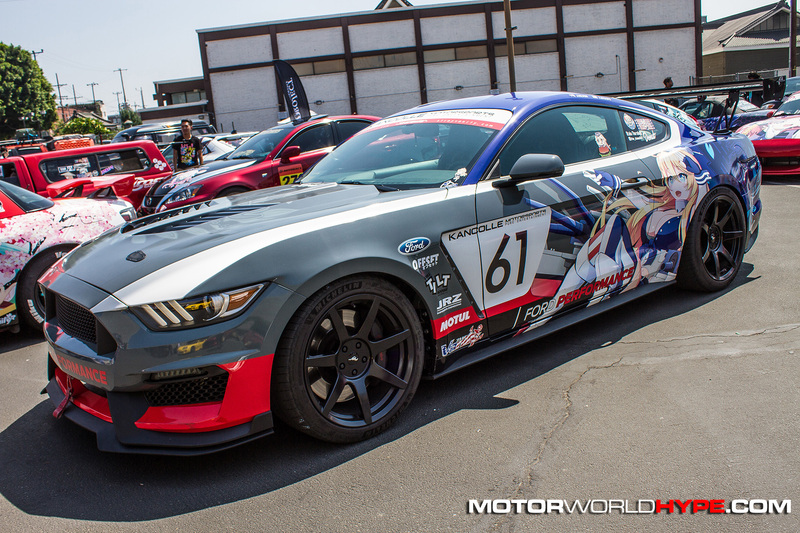 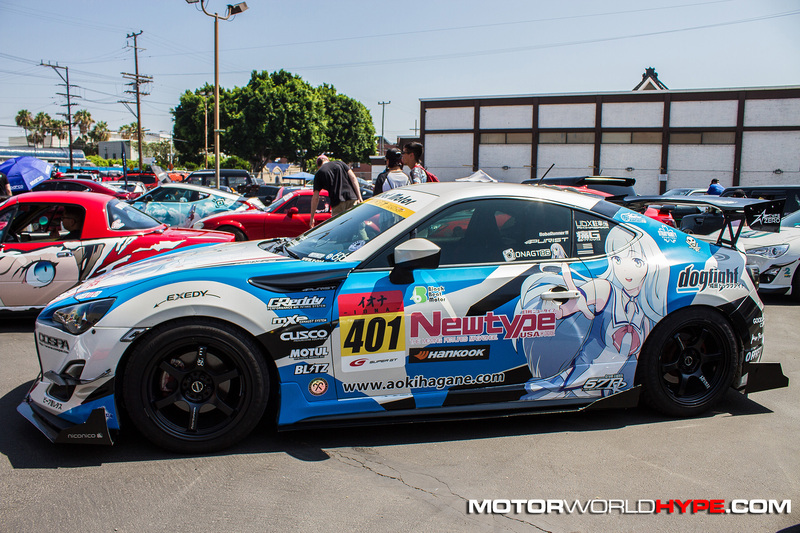 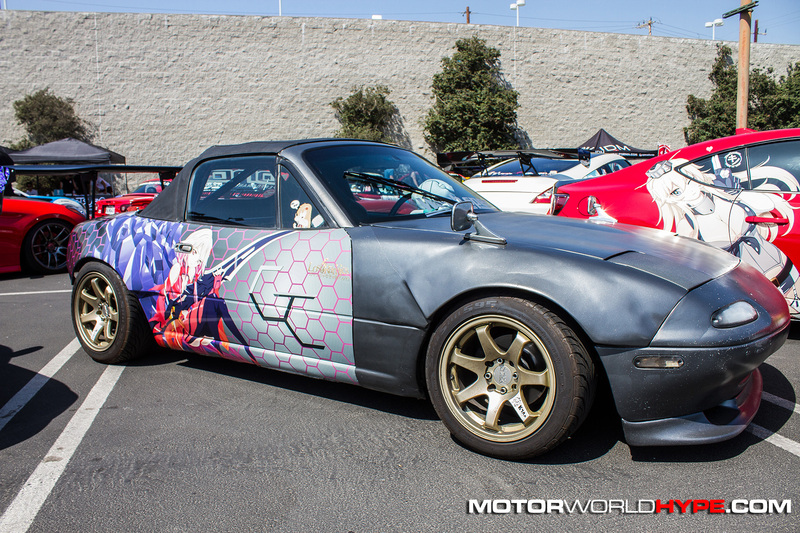 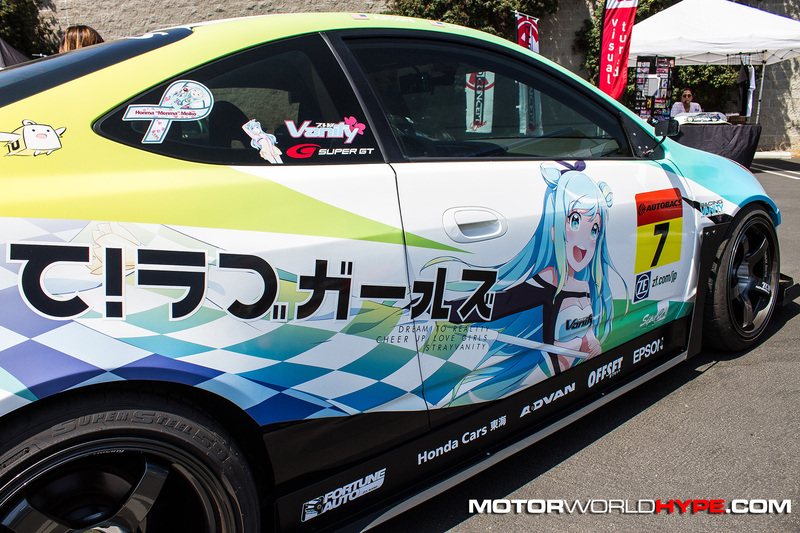 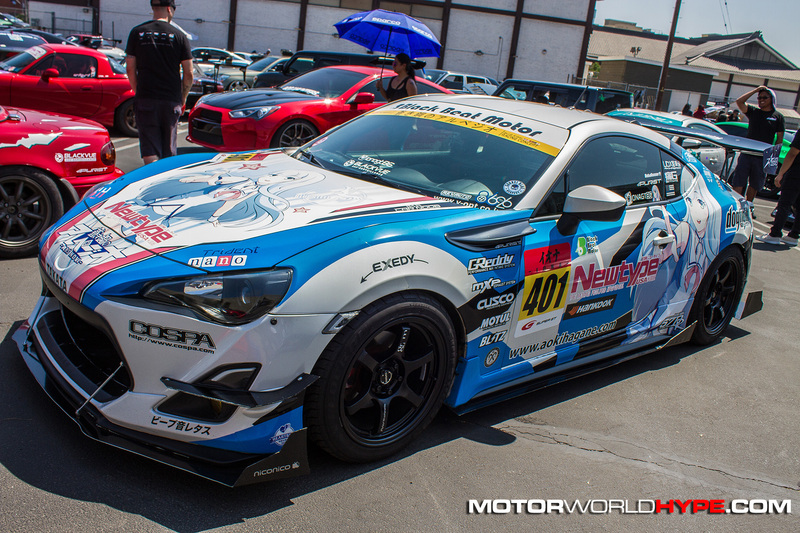 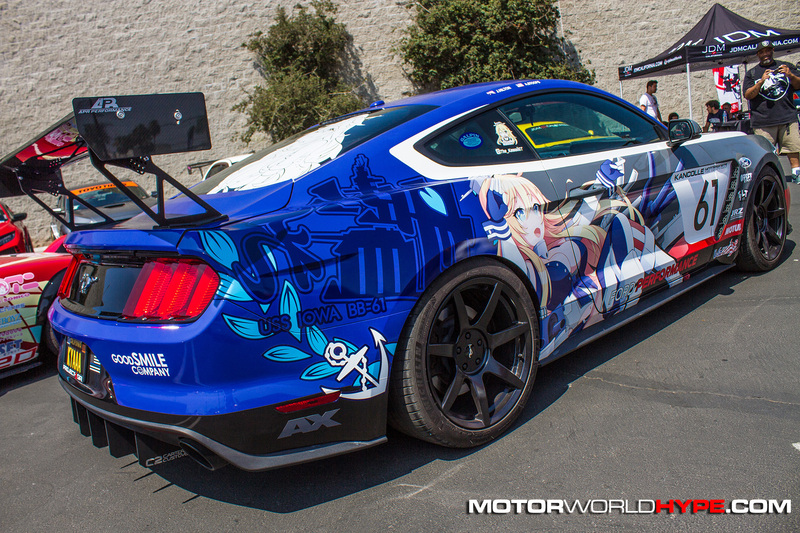 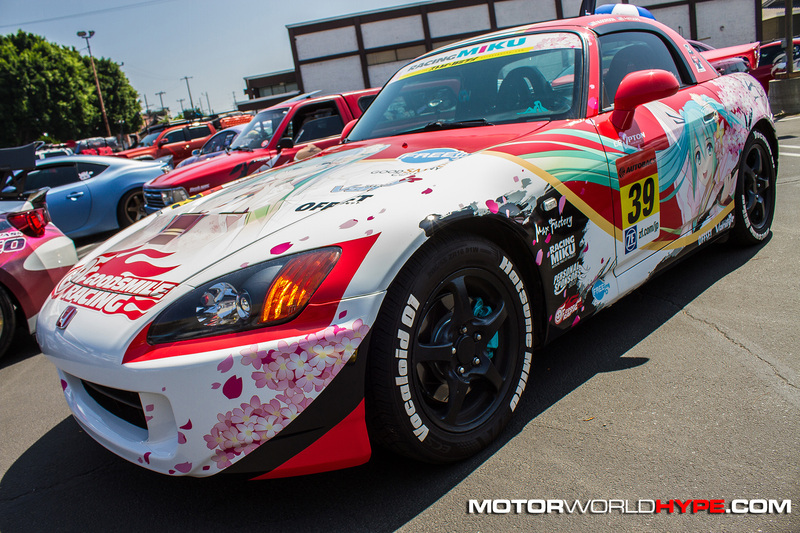 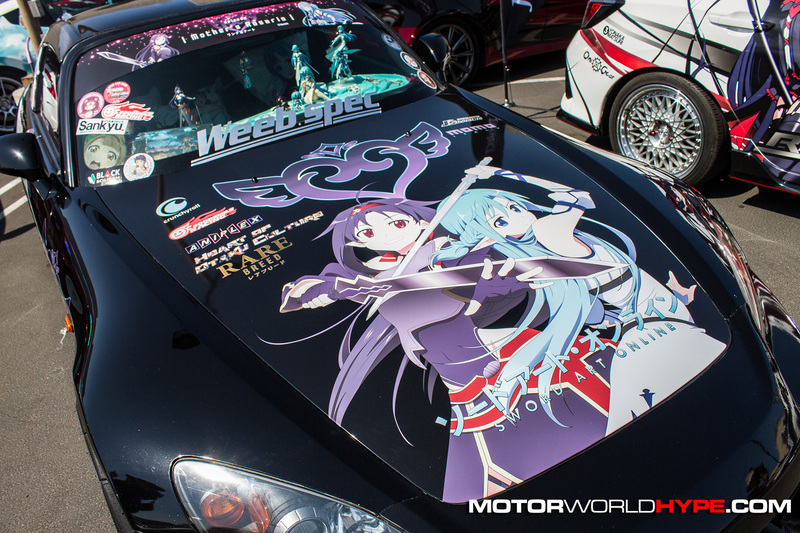 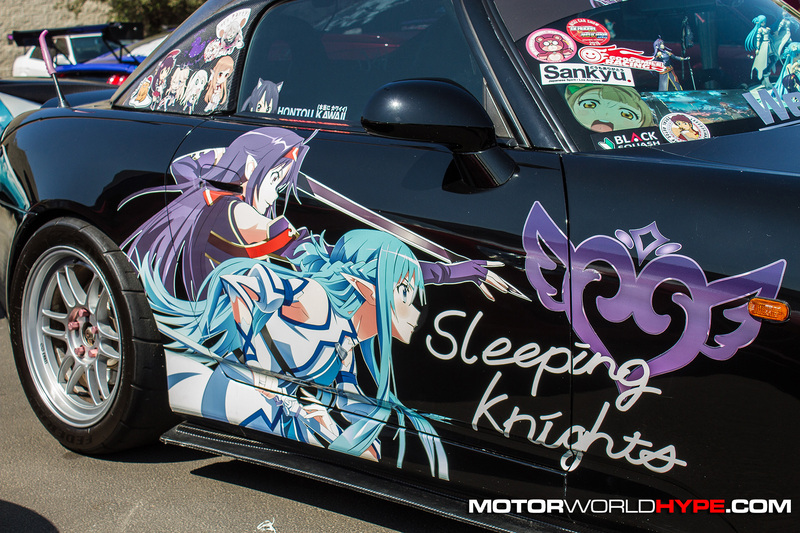 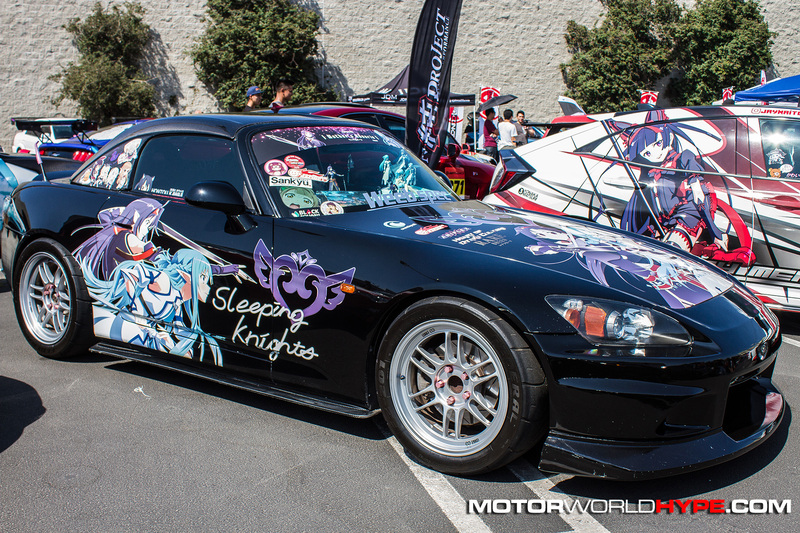 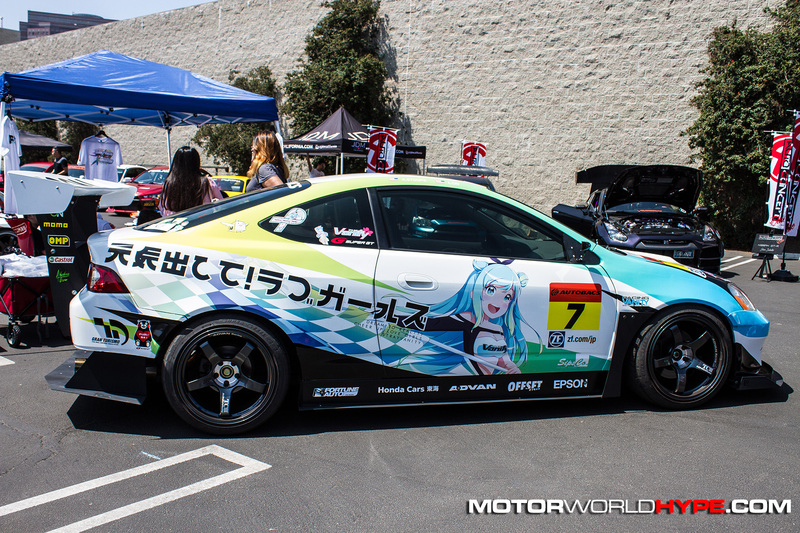 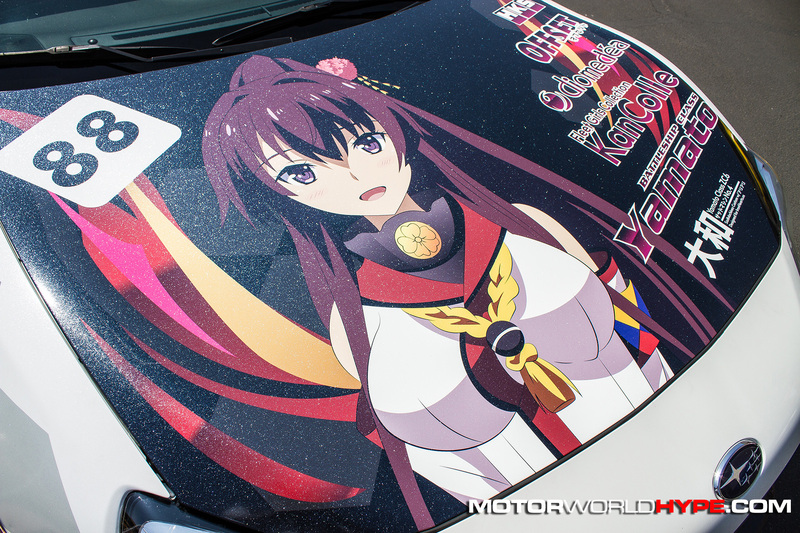 Itasha has been around for a while but it has been growing in popularity recently, especially in the Southern California area. 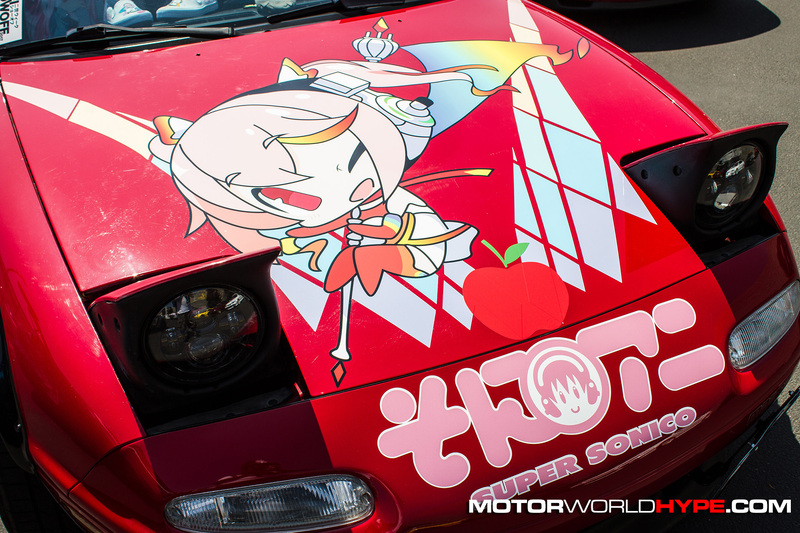 There is even an Instagram page dedicated to it called @Dekocar. 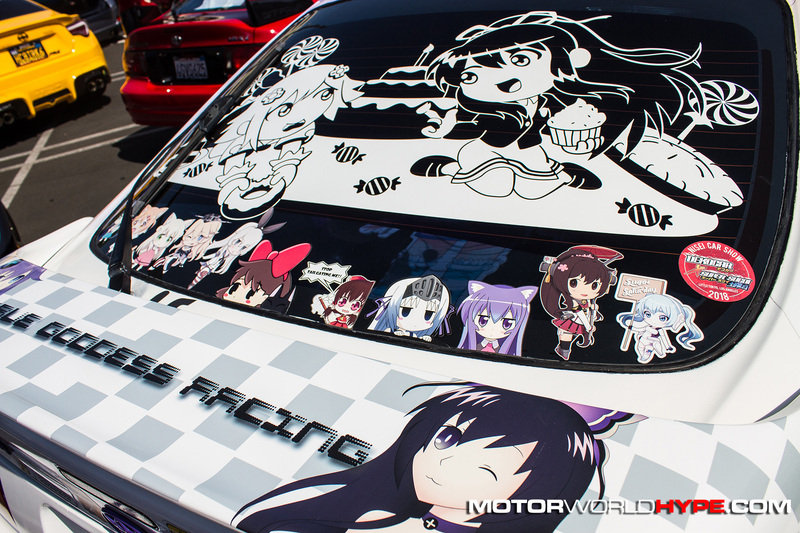 As I mentioned before, I’ve seen cars in this style around when visiting local shows but to see a group of them together at once was pretty awesome. 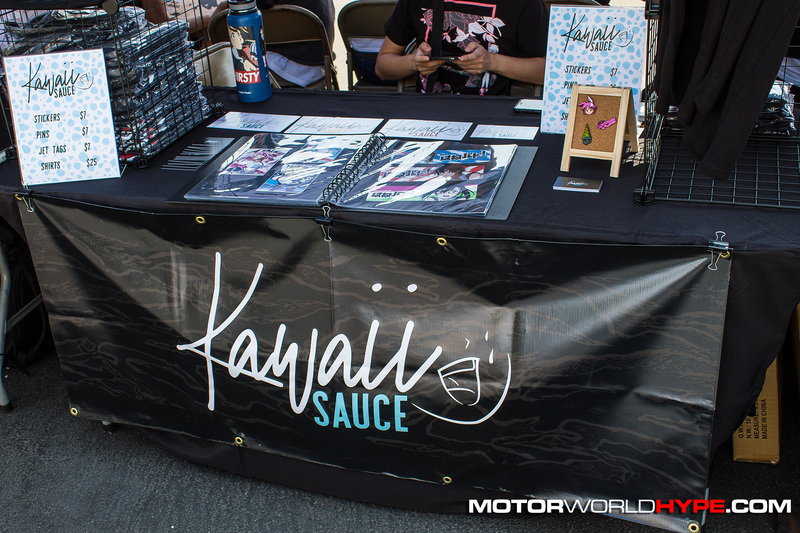 I really hope that this is something Ken continues to do at next year’s Nisei Week Showoff or any other Showoff event he produces in the near future. 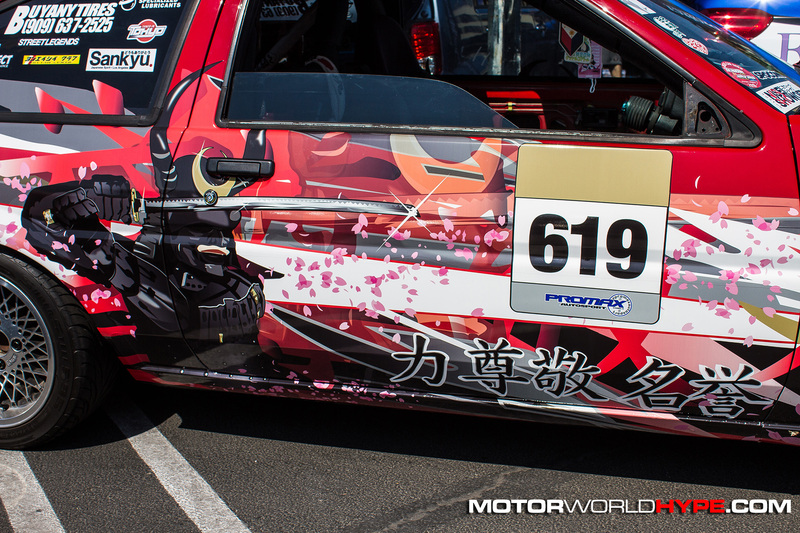 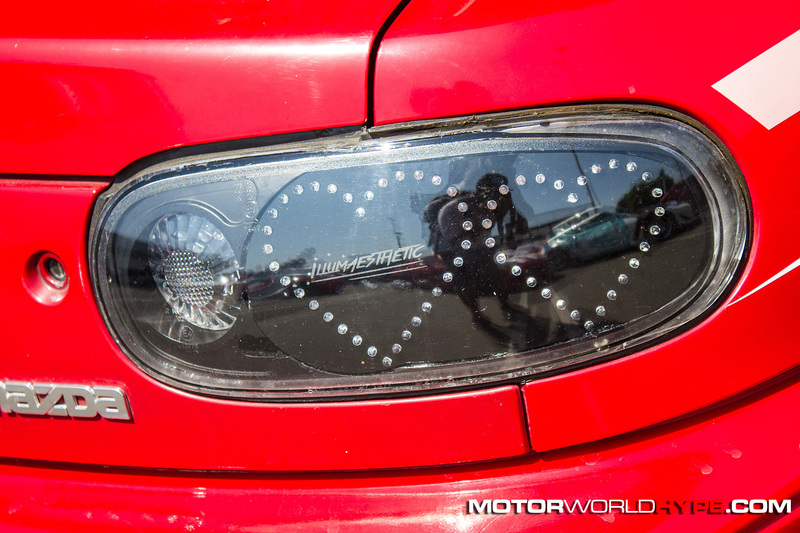 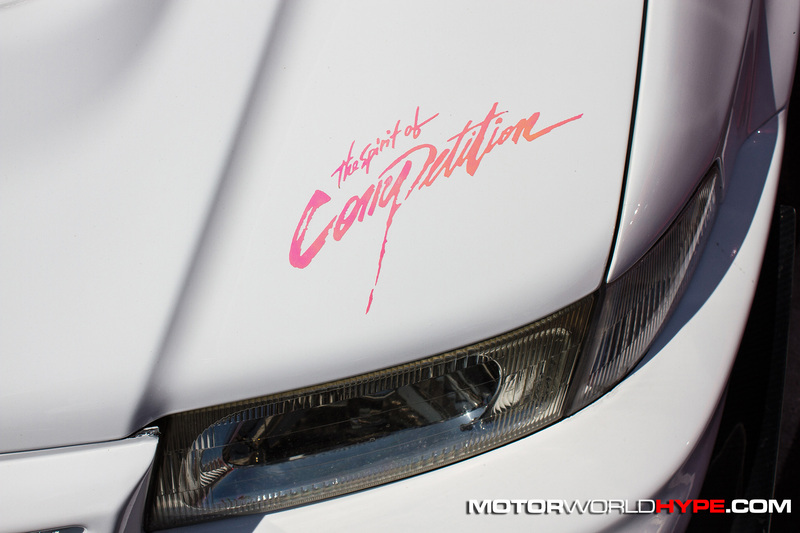 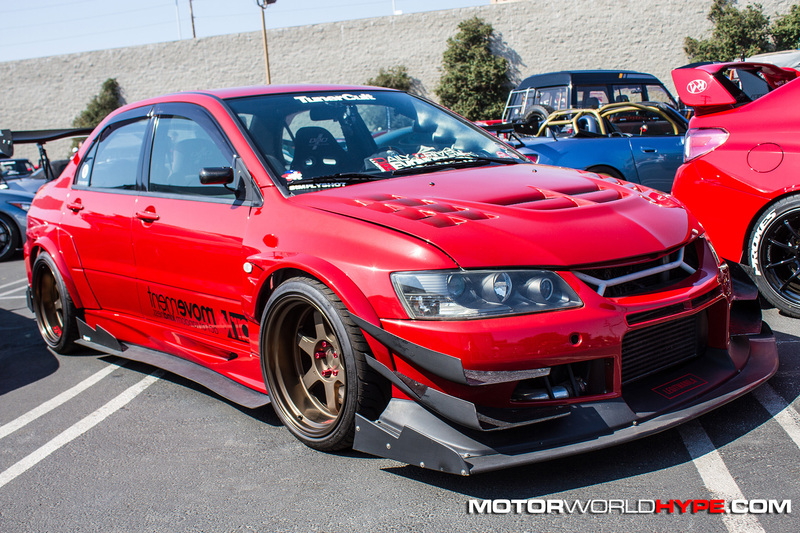 Something about combining cars and this particular style of Japanese art was really special. 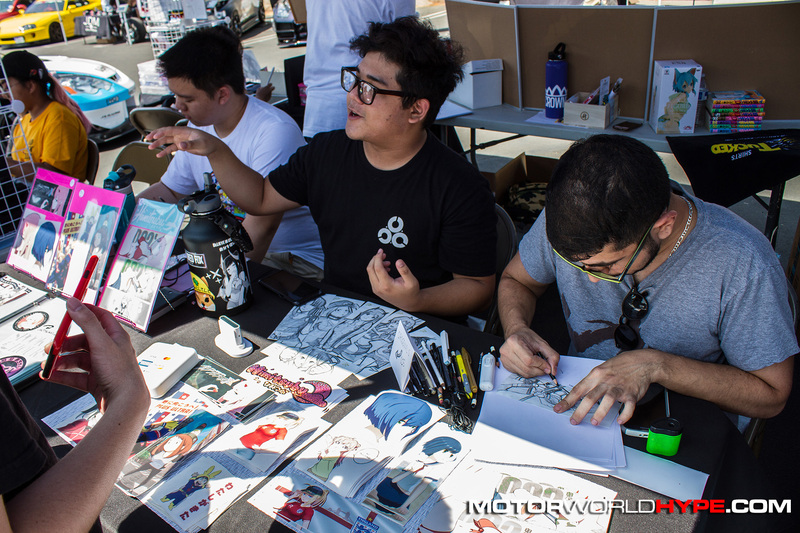 The artist alley just amplified that as it provided an opportunity for show goers to be introduced to new artists as well as giving said artist (most were very young) a way to get exposure. 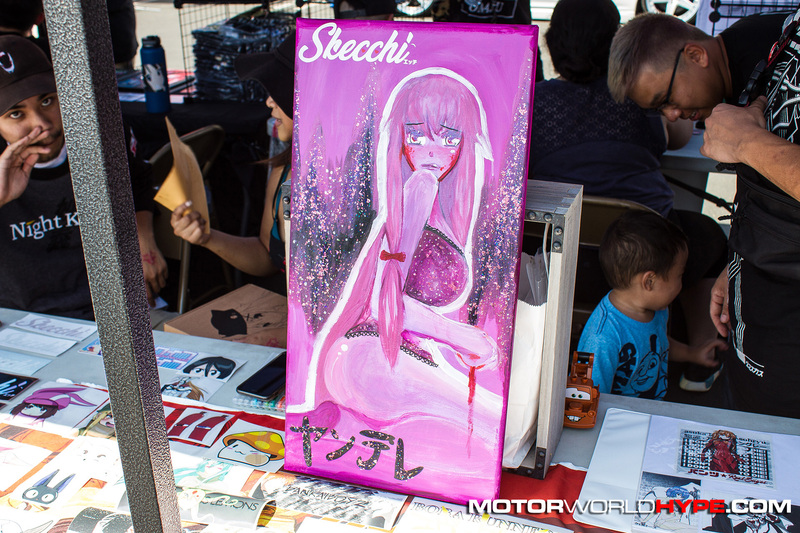 With that being said, I did include some pictures of the artist alley and some specific booths in the photo gallery so that if you see anything you like you can look it up for yourself. 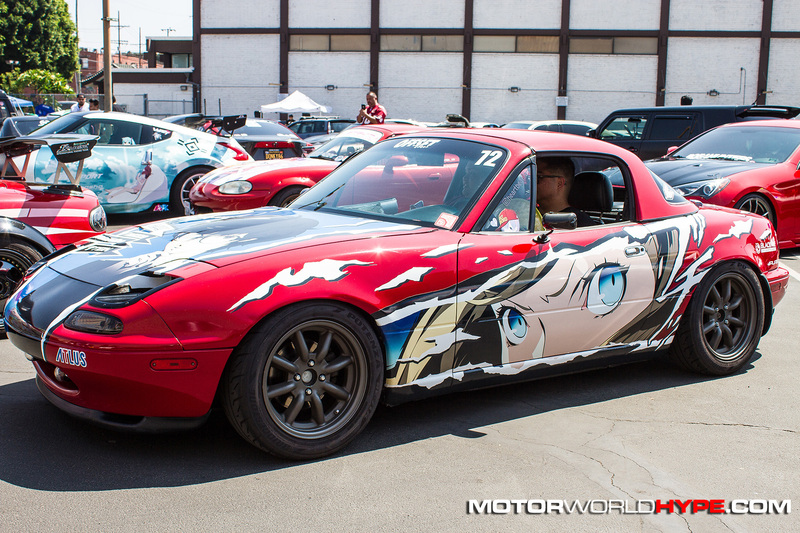 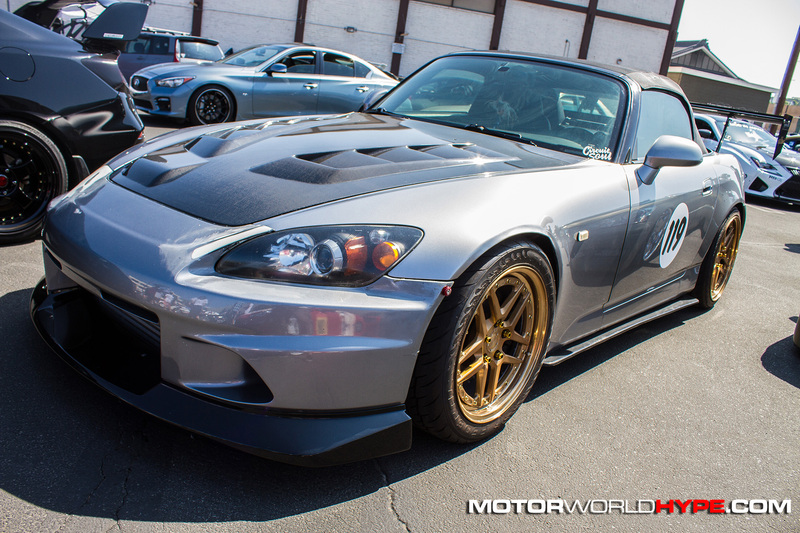 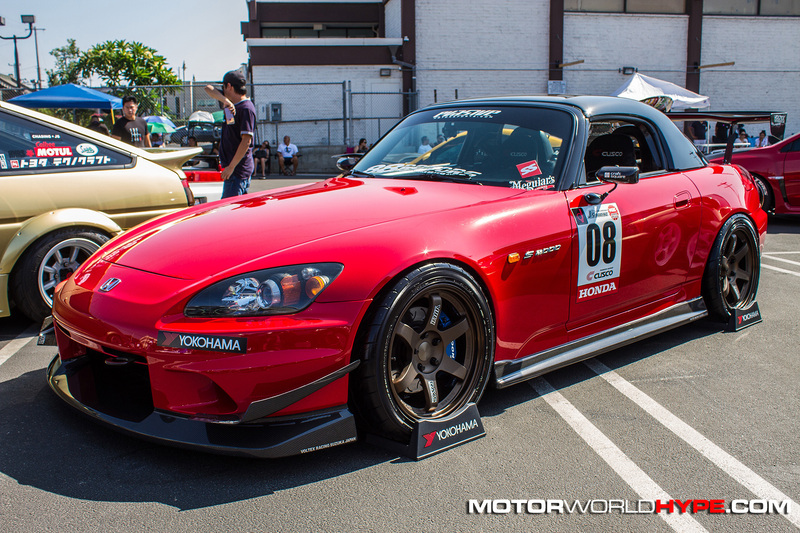 Beyond the Itasha cars, there was a small army of super clean, top shelf builds, repping all of the major Japanese OEMs, including a corral of NSXs and another corral of S2000’s that blew my mind. 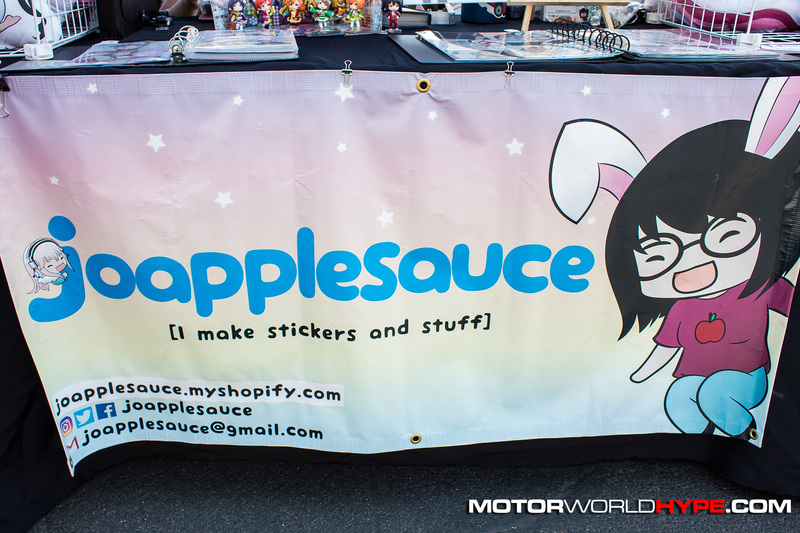 I’m going to stop rambling about it now though and invite you to check out the full photo gallery below!